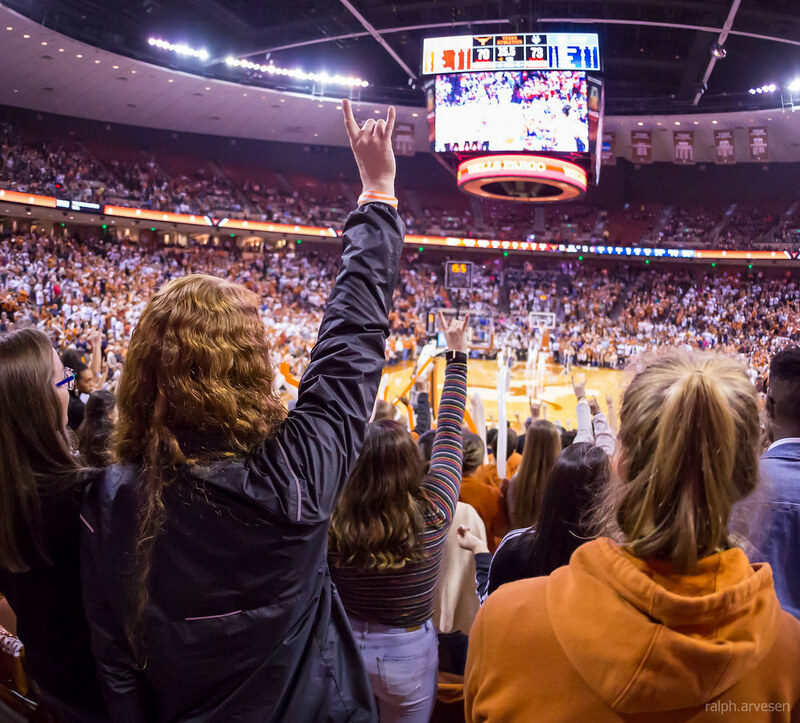 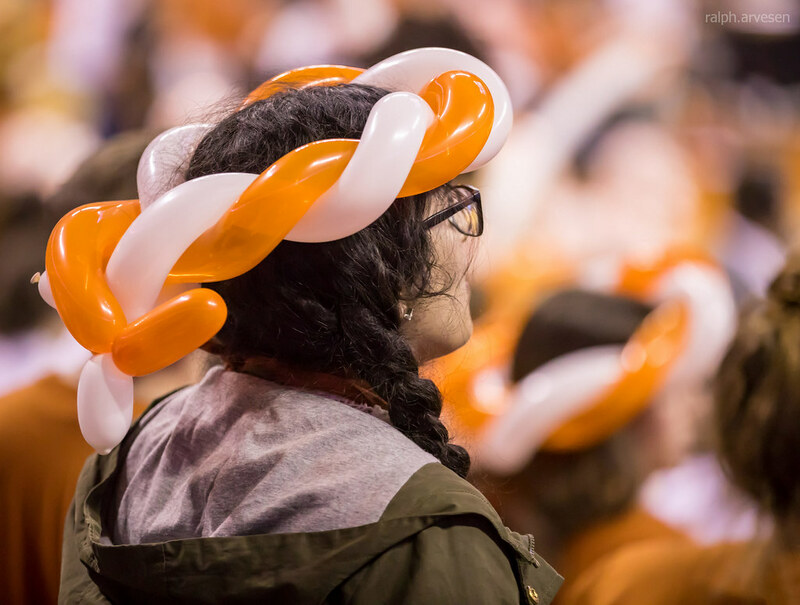 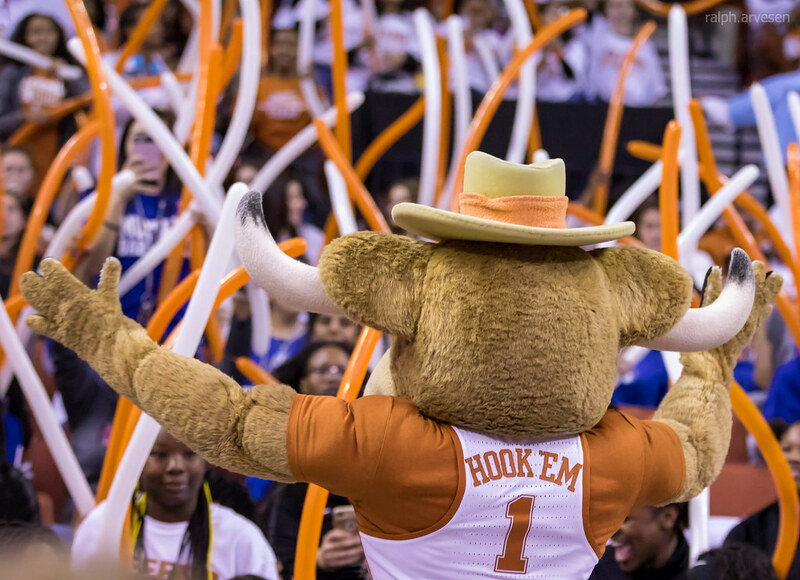 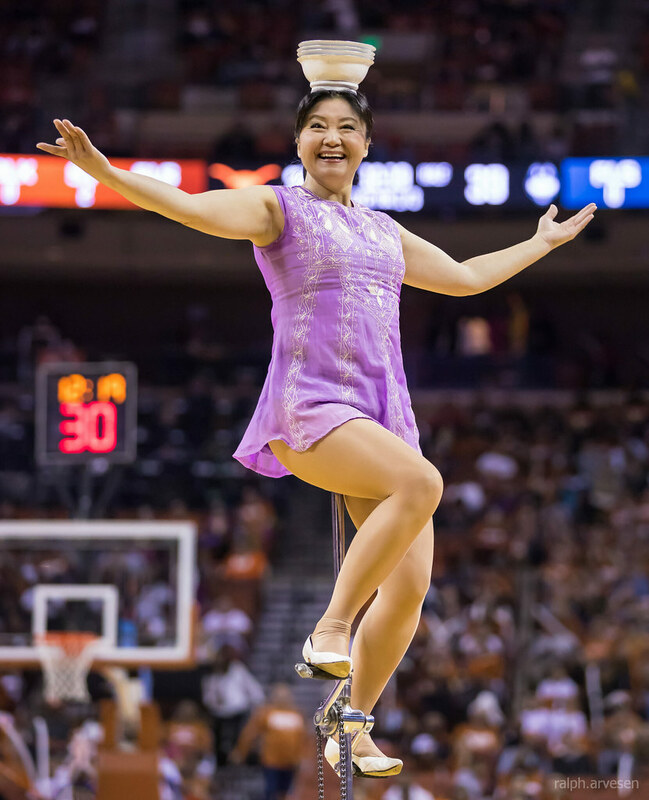 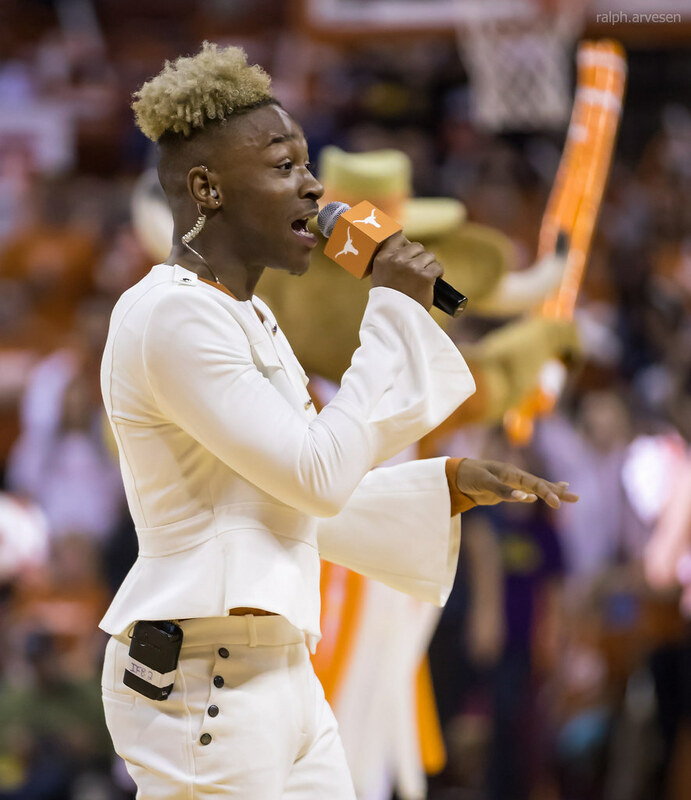 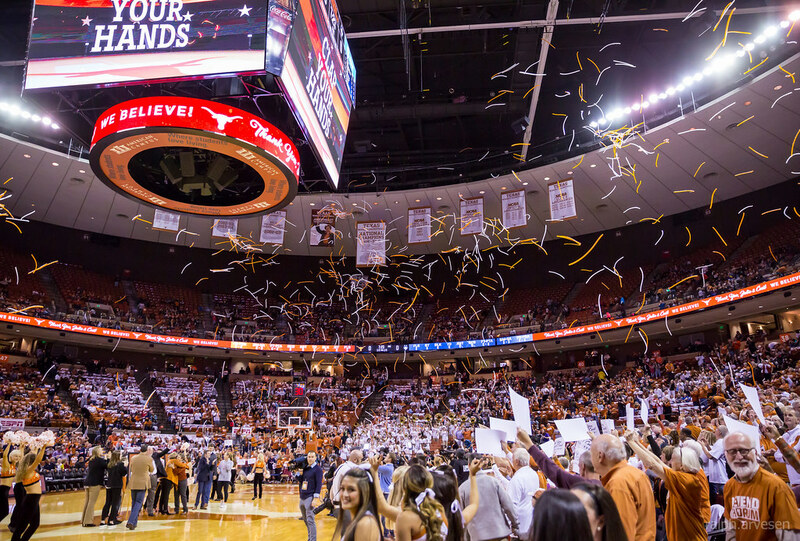 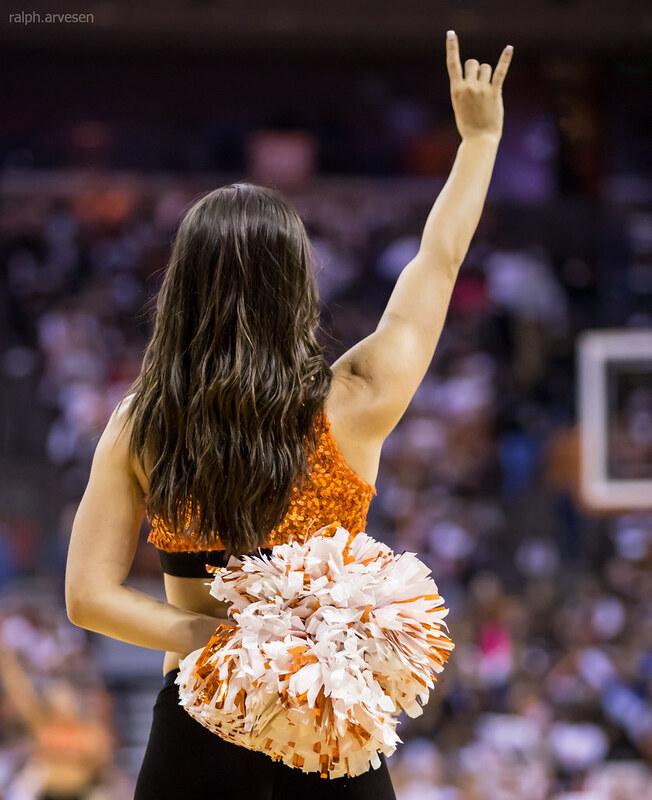 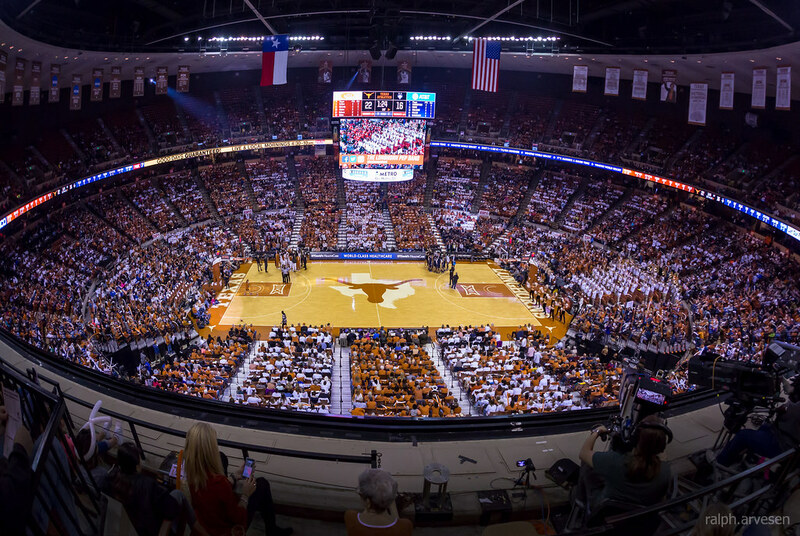 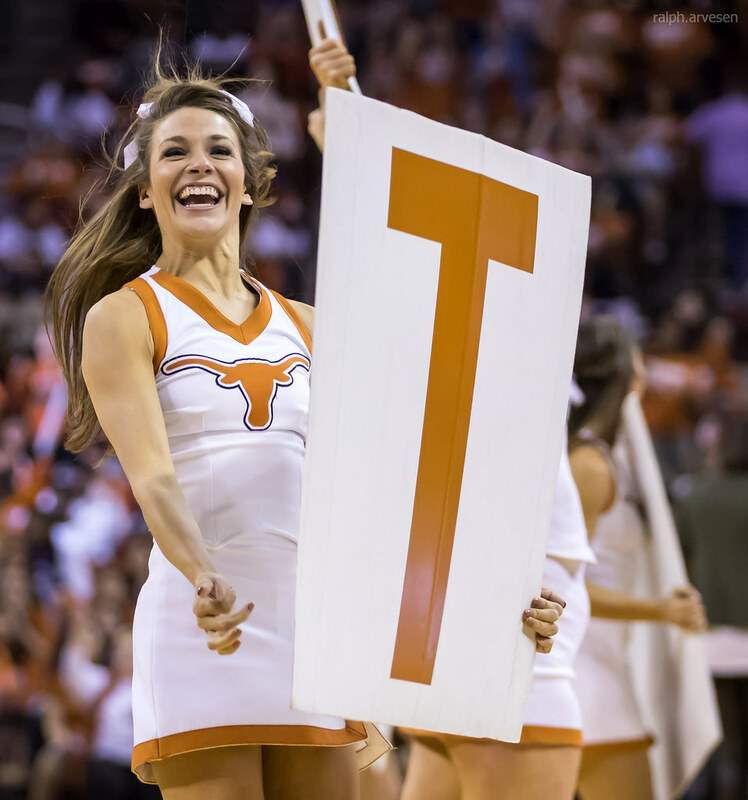 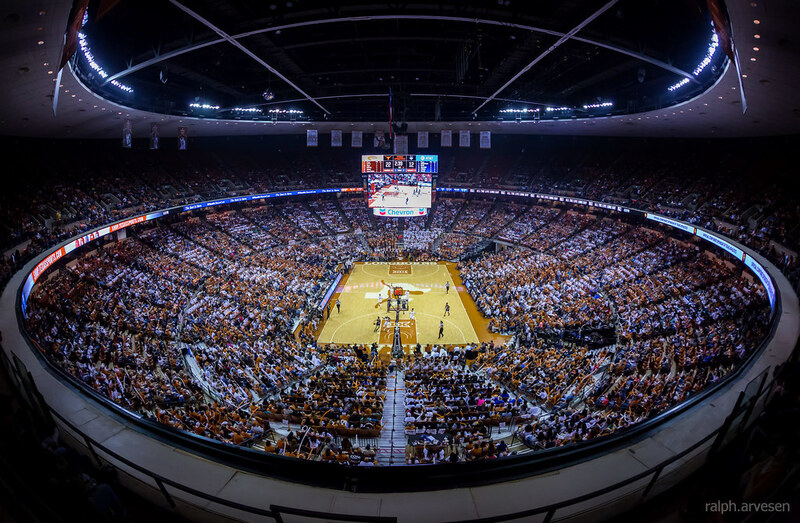 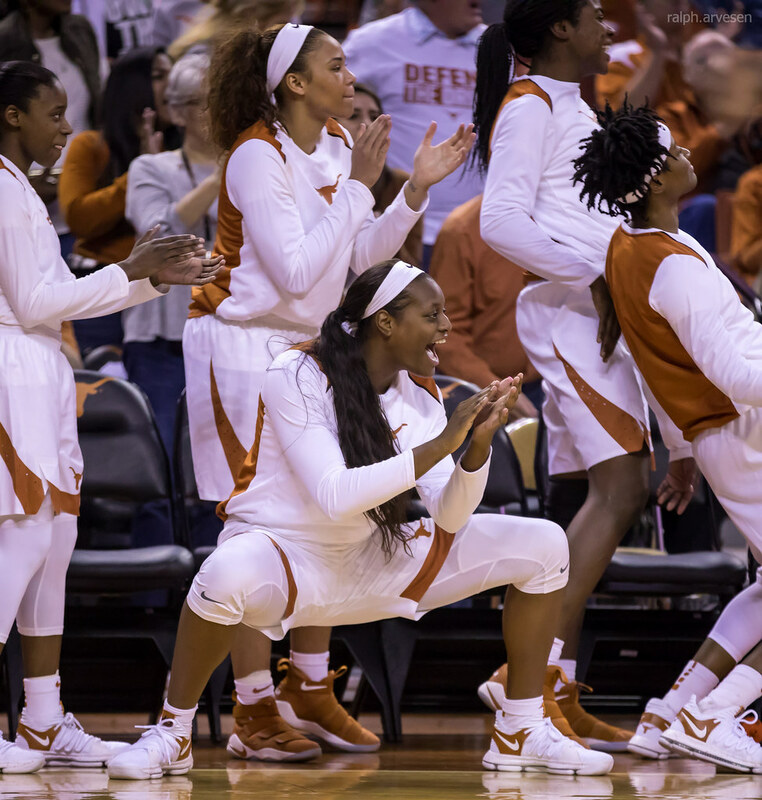 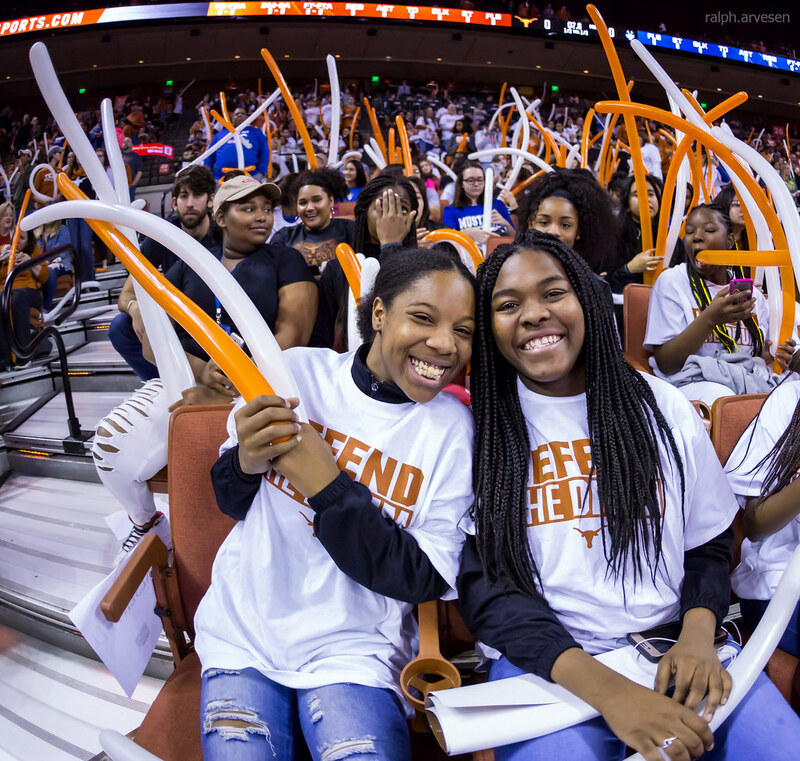 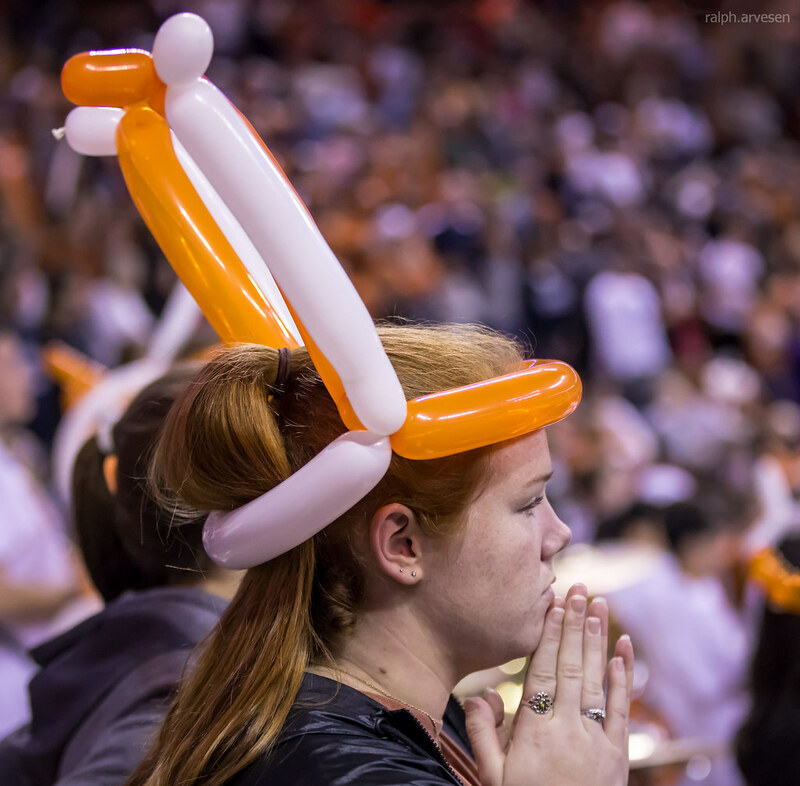 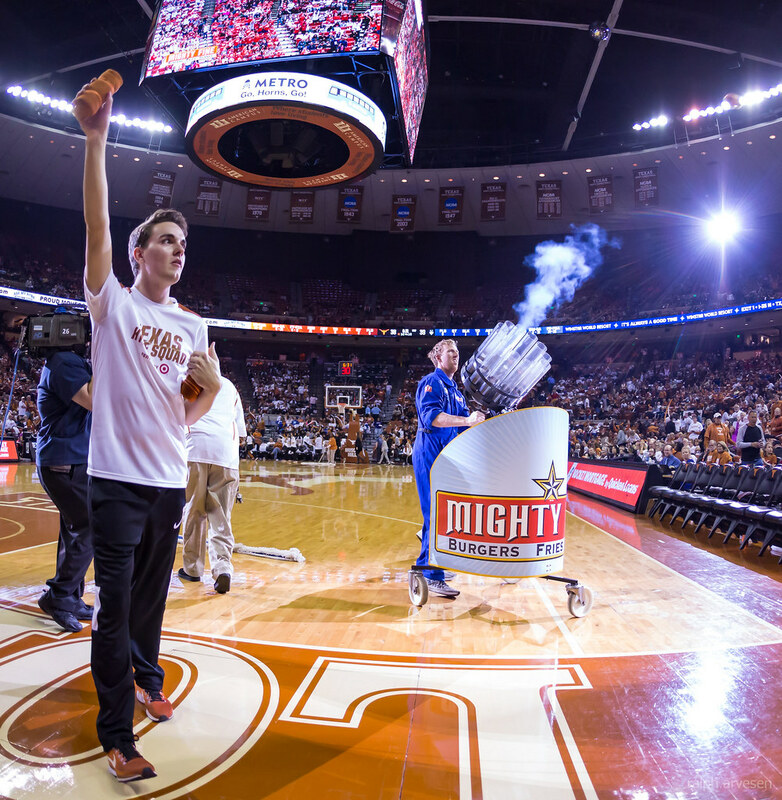 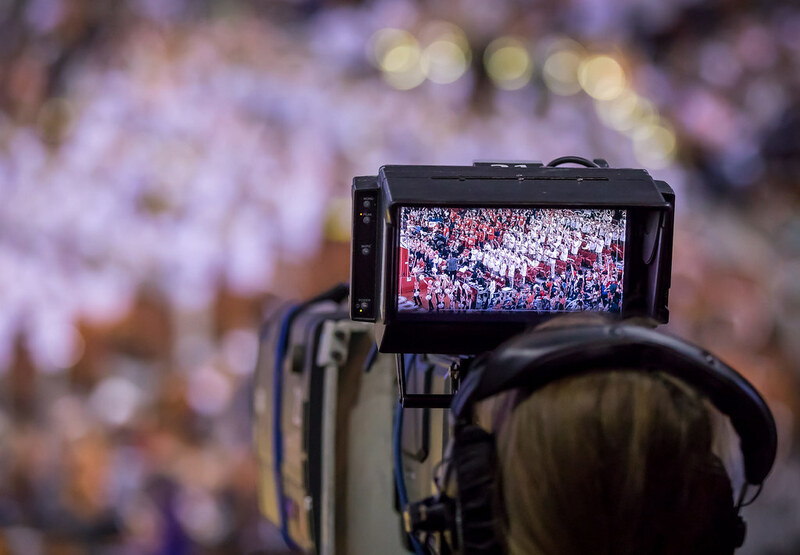 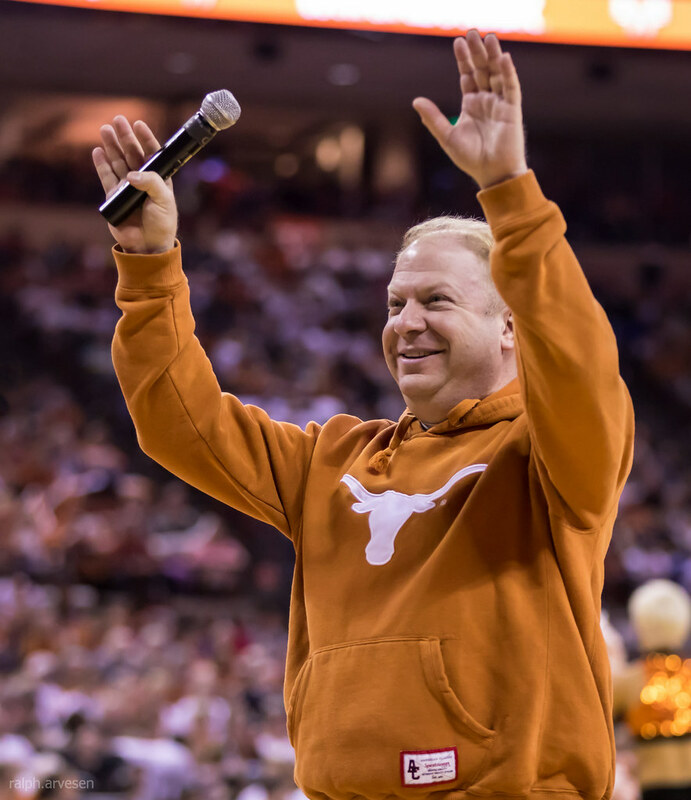 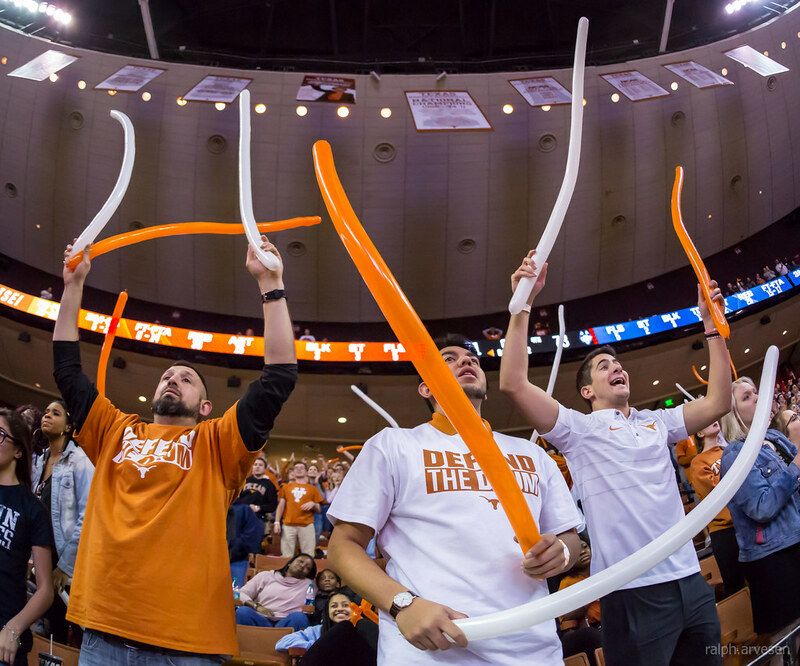 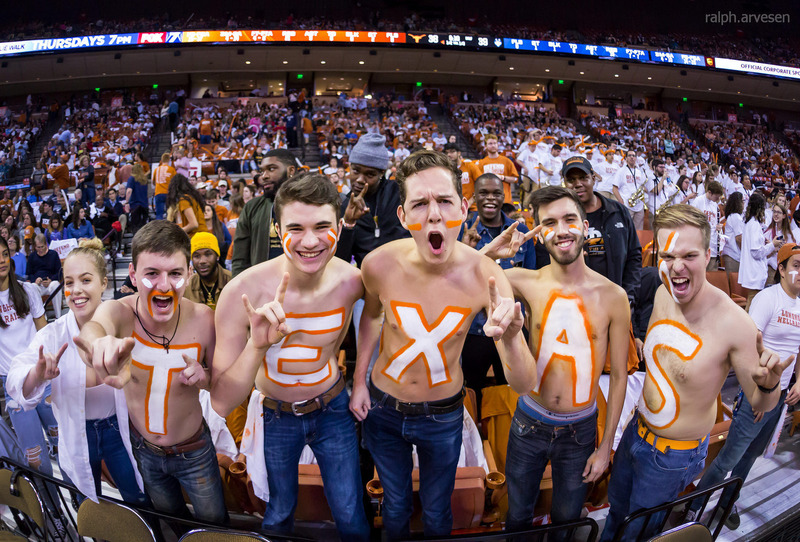 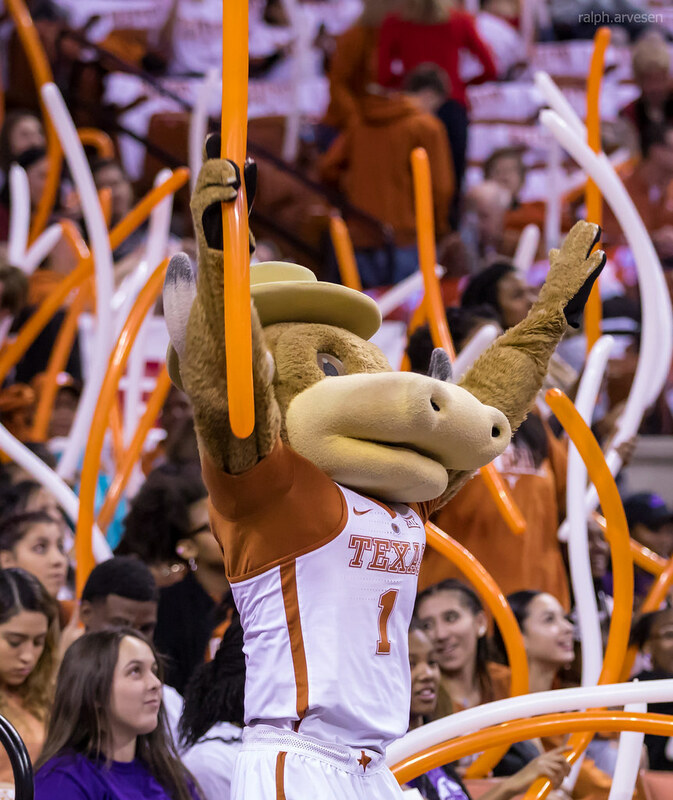 The University of Texas Longhorn women's basketball game against the University Of Connecticut Huskies at the Frank Erwin Center in Austin, Texas on January 15, 2018. 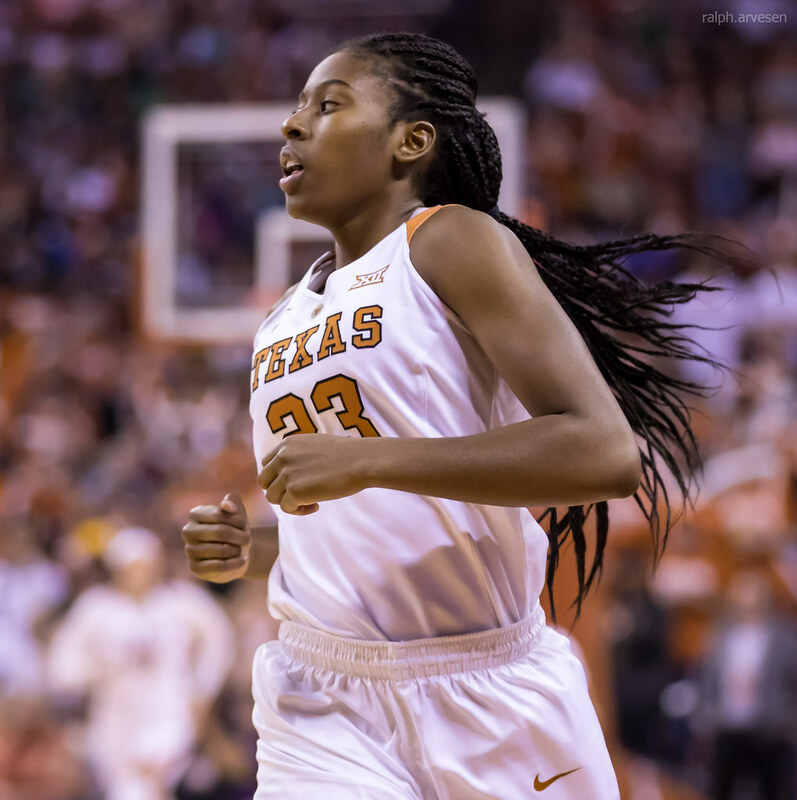 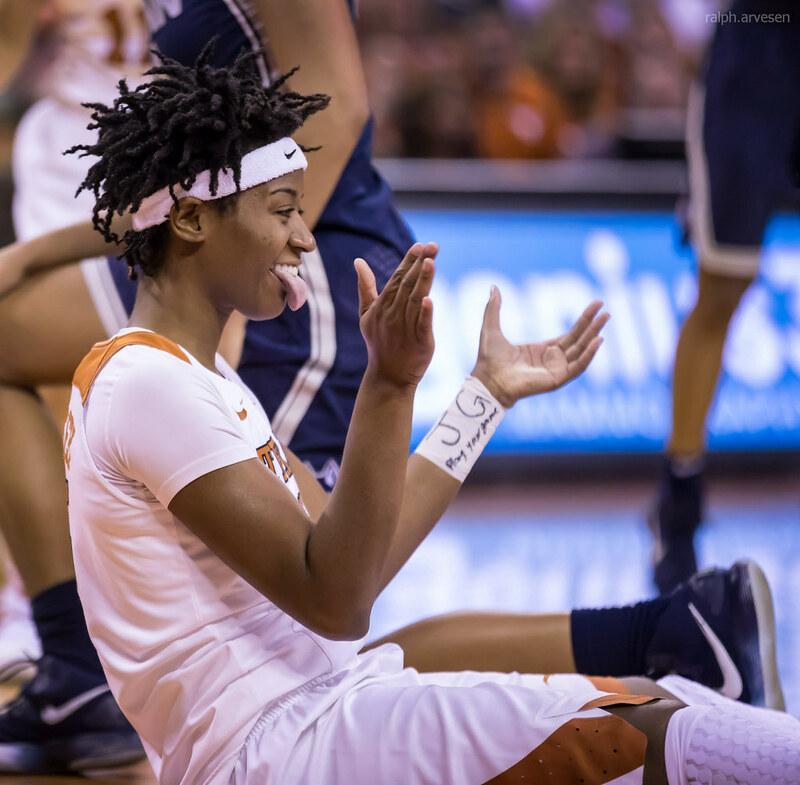 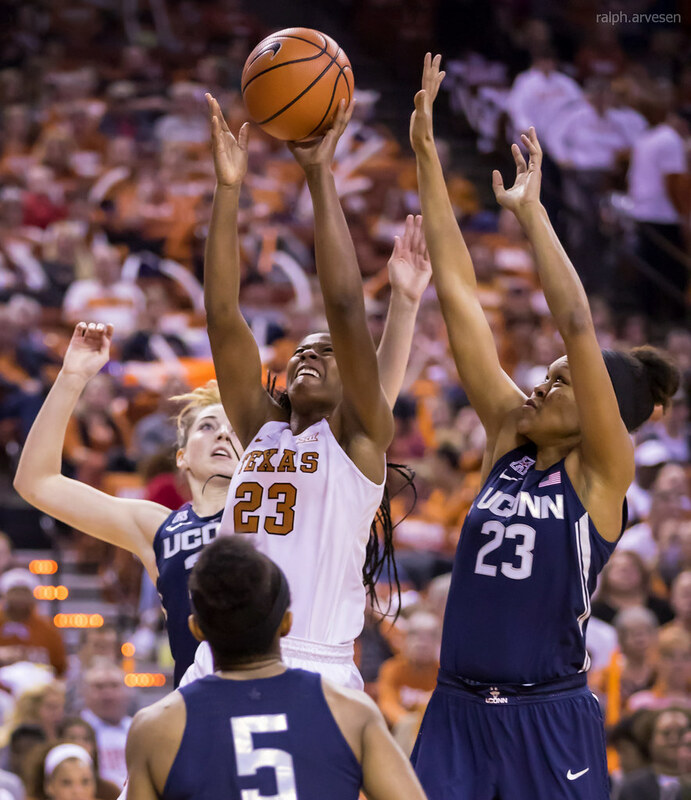 Junior forward Jatarie White led the Longhorns with a team-high 18 points, but No. 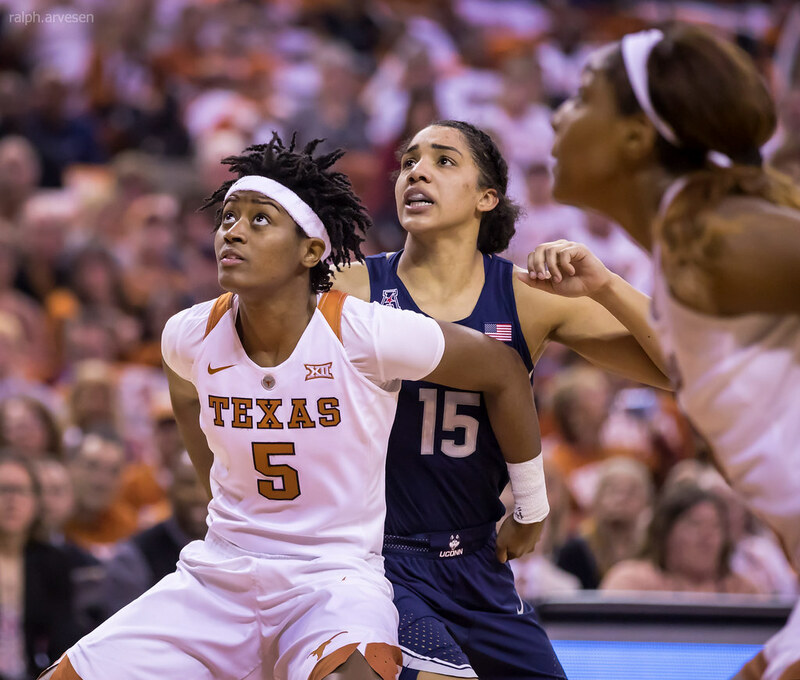 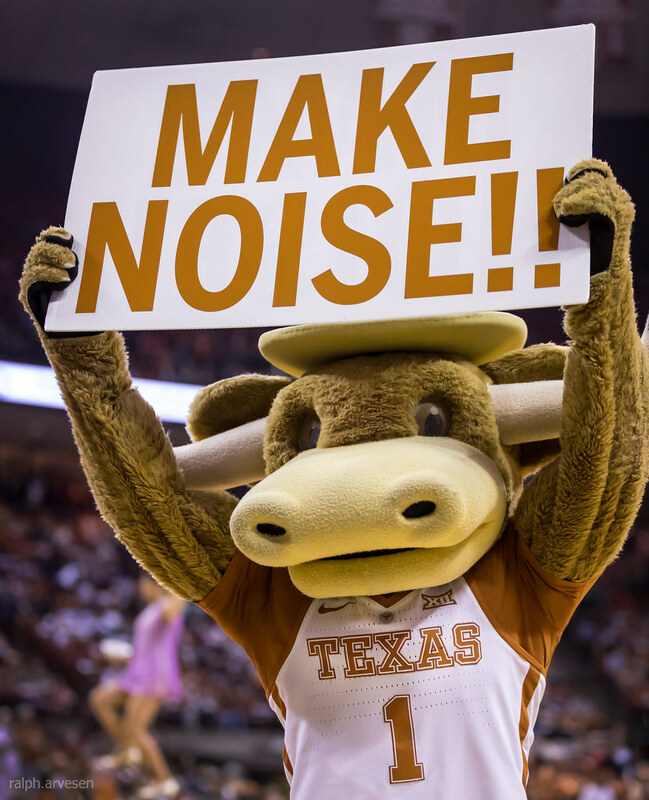 9/7 Texas Women's Basketball fell late to No. 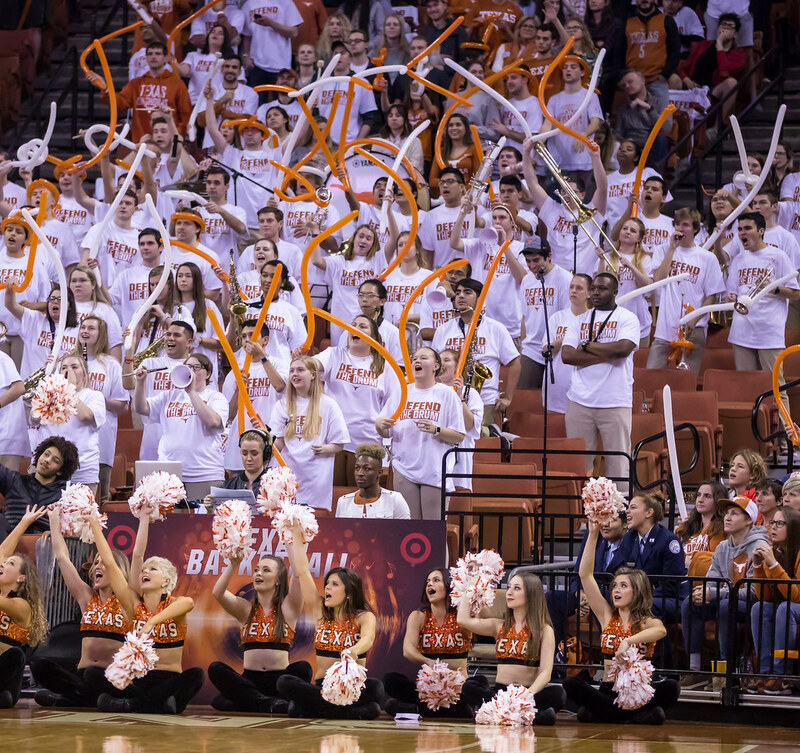 1/1 UConn on Monday night in front of a record-setting crowd of 11,877 at the Frank Erwin Center, the 12th-largest attendance in school history. 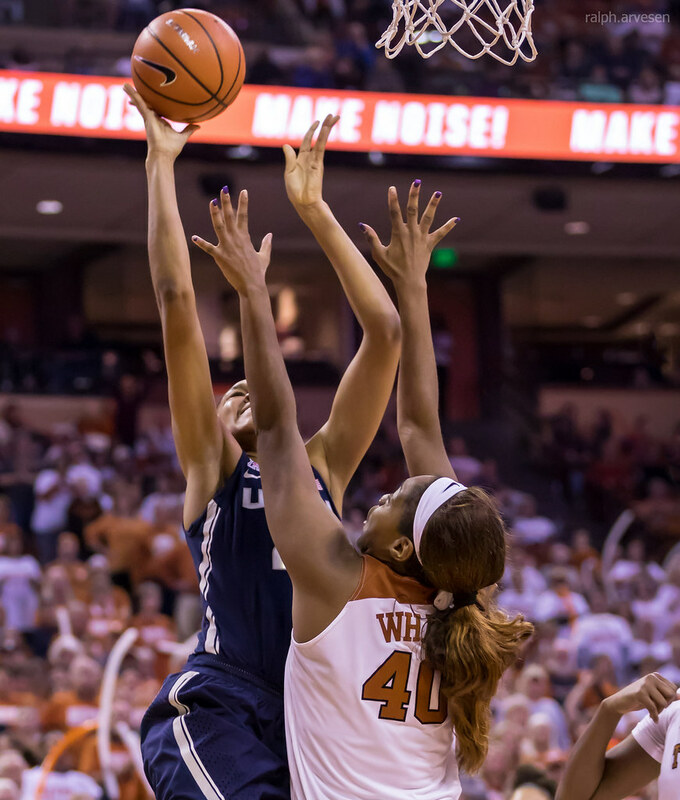 White was 8-of-12 from the field and brought down six rebounds. 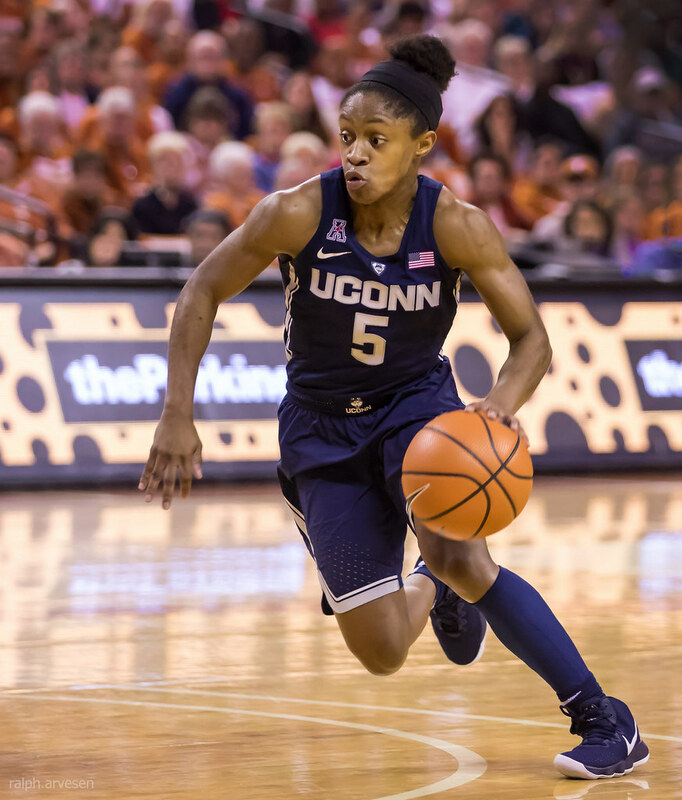 Senior guards Ariel Atkins and Brooke McCarty contributed 14 points each, with McCarty dishing out a team-high five assists. 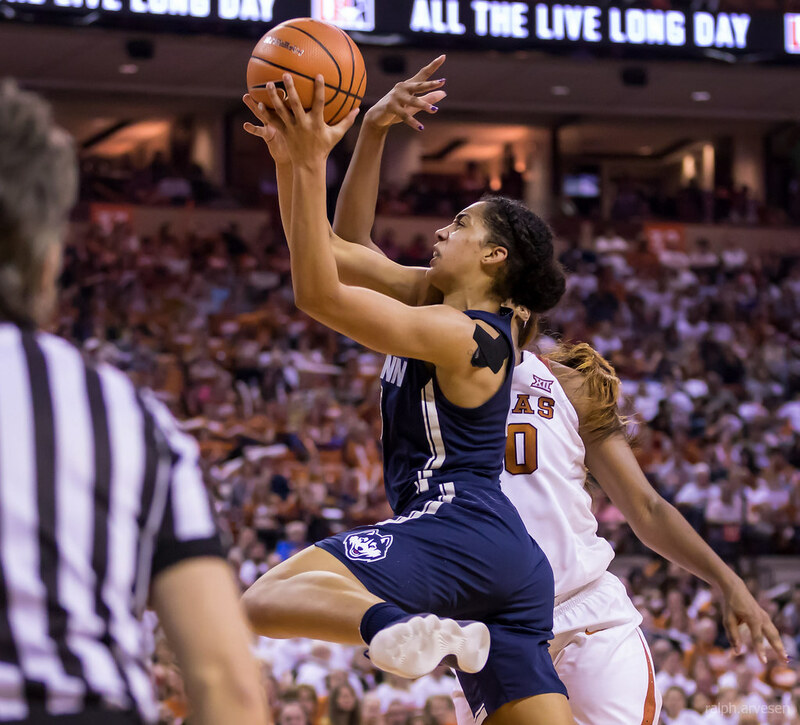 Junior guard Lashann Higgs added 13 points and senior forward Audrey-Ann Caron-Goudreau had a team-high 11 rebounds, along with seven points in 25 minutes of action. 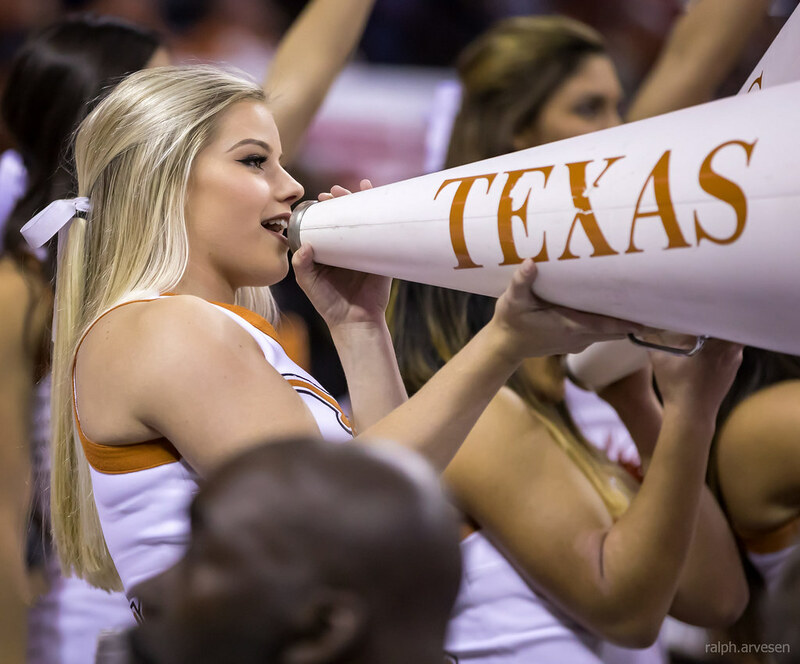 Texas sprinted out to an early eight-point (18-10) lead after Atkins and McCarty knocked down back-to-back 3-pointers with 4:28 remaining in the first quarter. 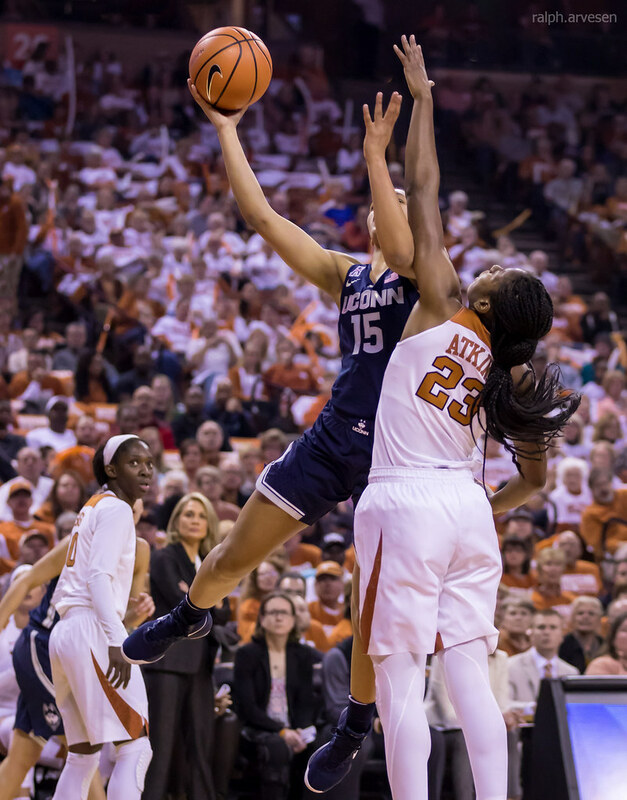 UConn used a 9-2 run over the final three minutes of the quarter to trim the Longhorn lead to 24-21 heading into the second period. 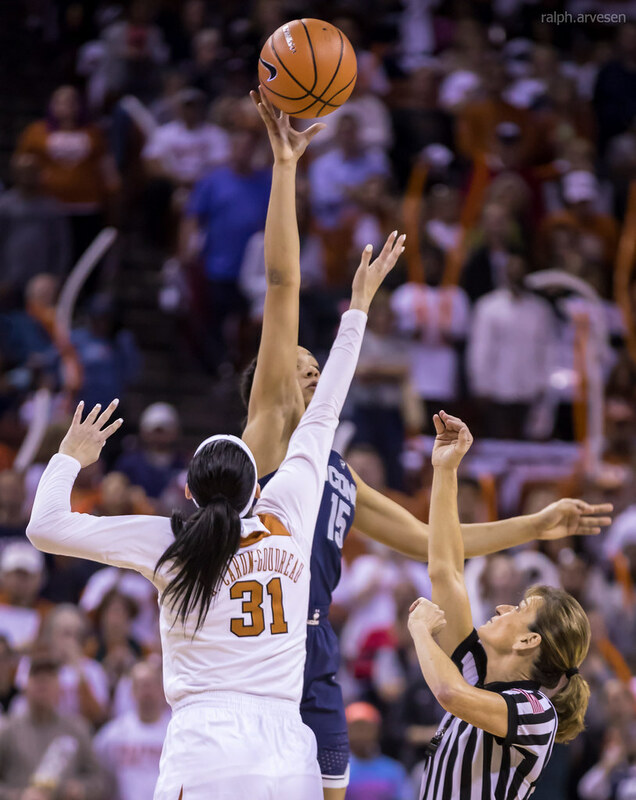 White connected from close-range to put the Longhorns ahead 28-23 at the 8:42 mark. 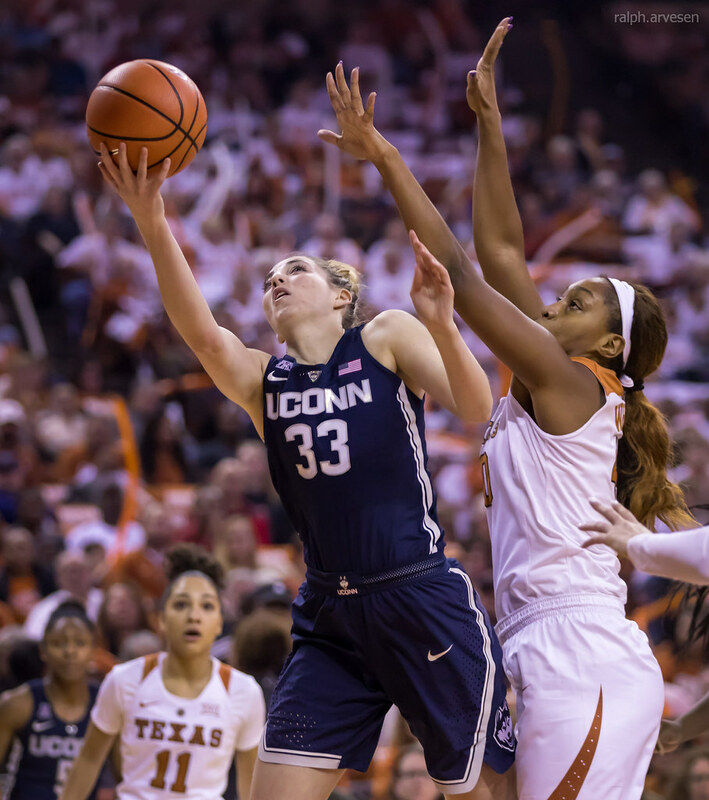 Texas was held scoreless for a four-minute stretch as the Huskies grabbed their second lead of the contest at 29-28. 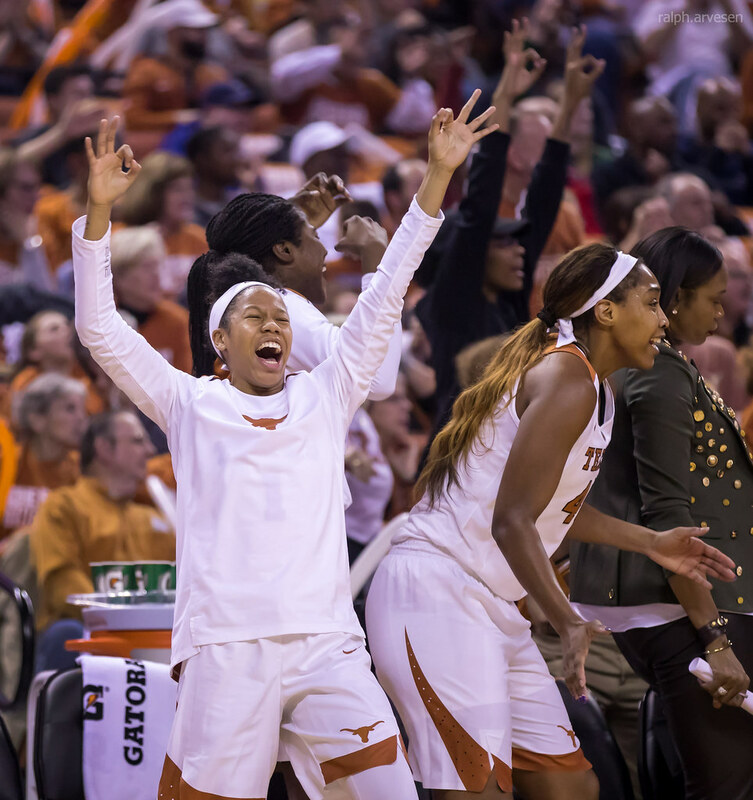 UT answered with nine-straight to regain an eight-point (37-29) advantage with 2:13 to play in the half. 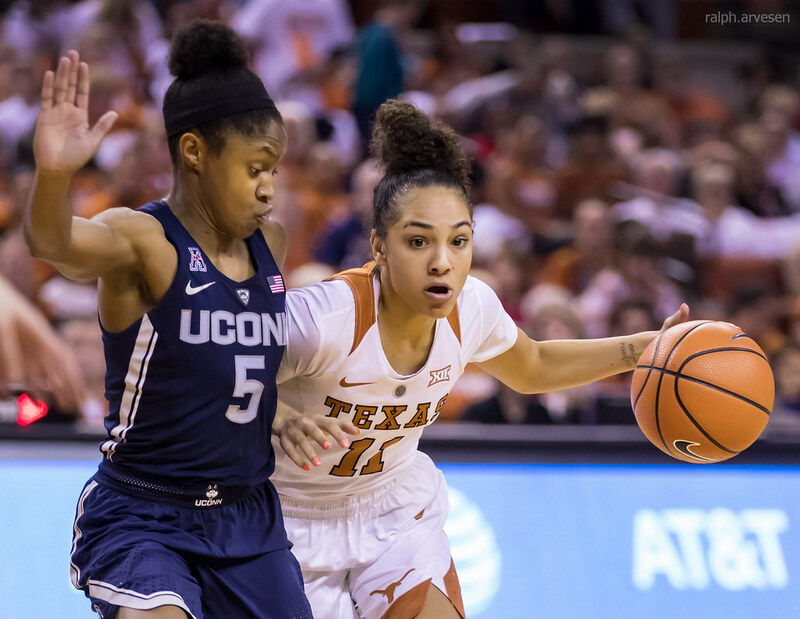 The Huskies used their own run of 10-1 in the final two minutes to take the lead as Texas went to the break trailing by one (39-38). 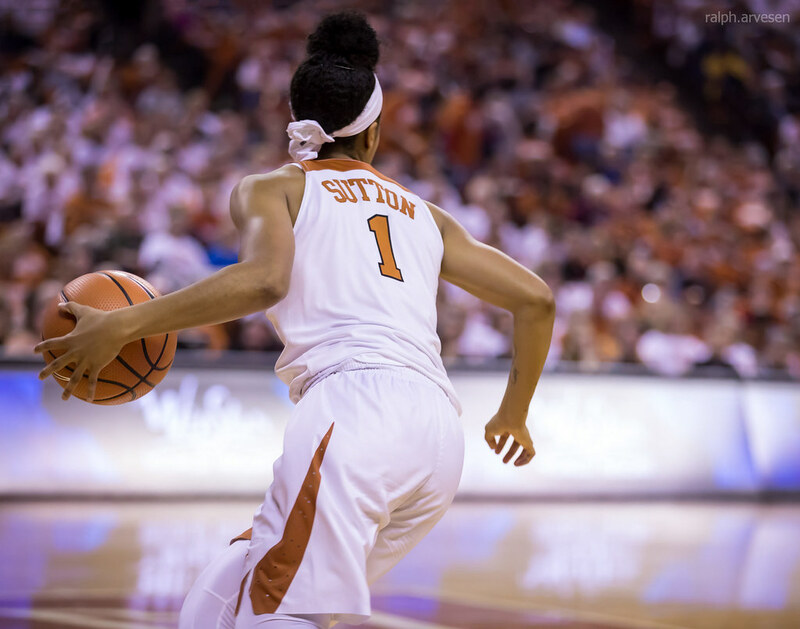 The Longhorns were led by a balanced scoring attack in the first half with McCarty, White, Higgs and Atkins all finishing with eight points. 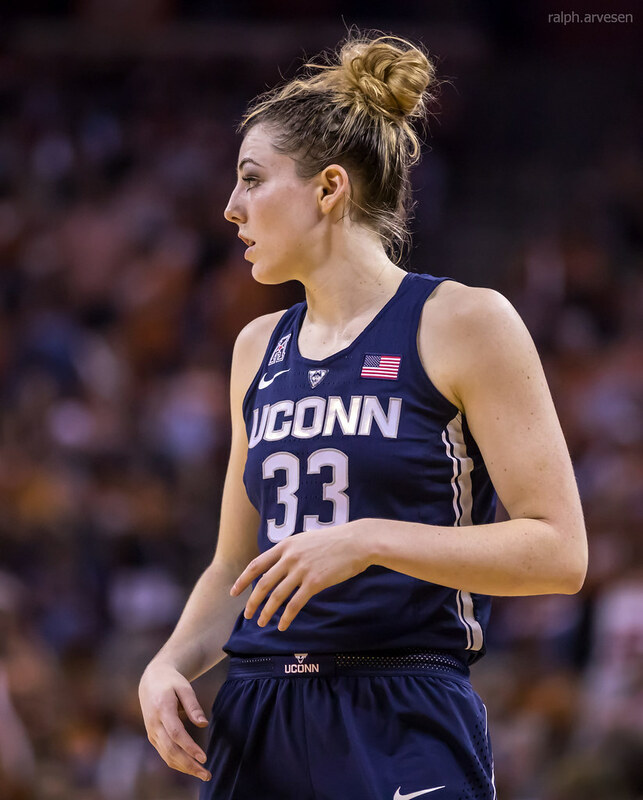 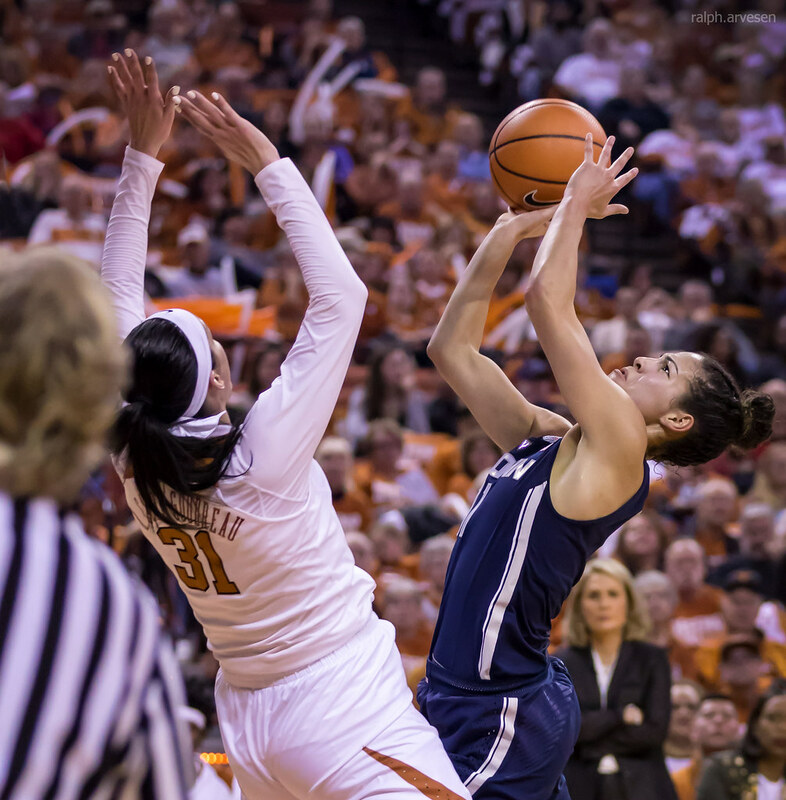 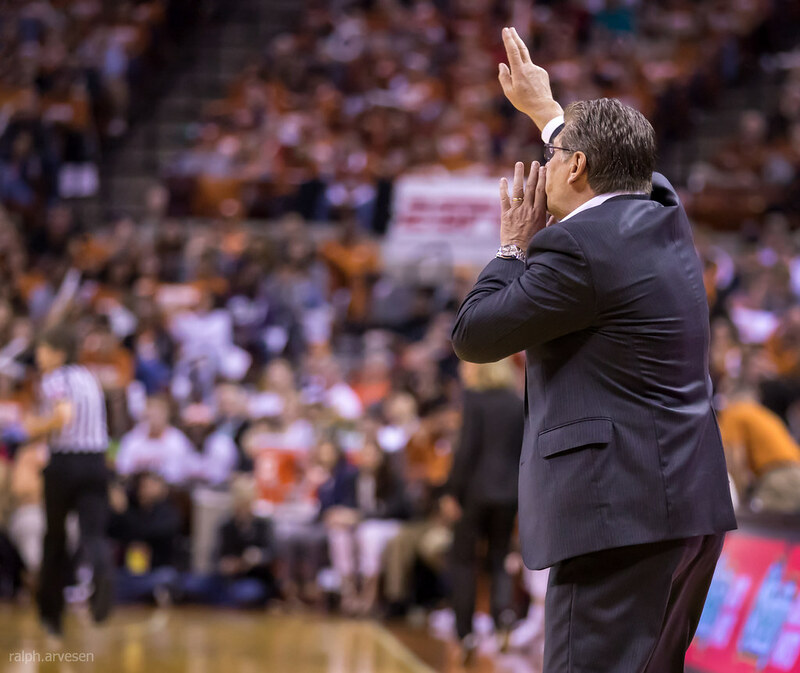 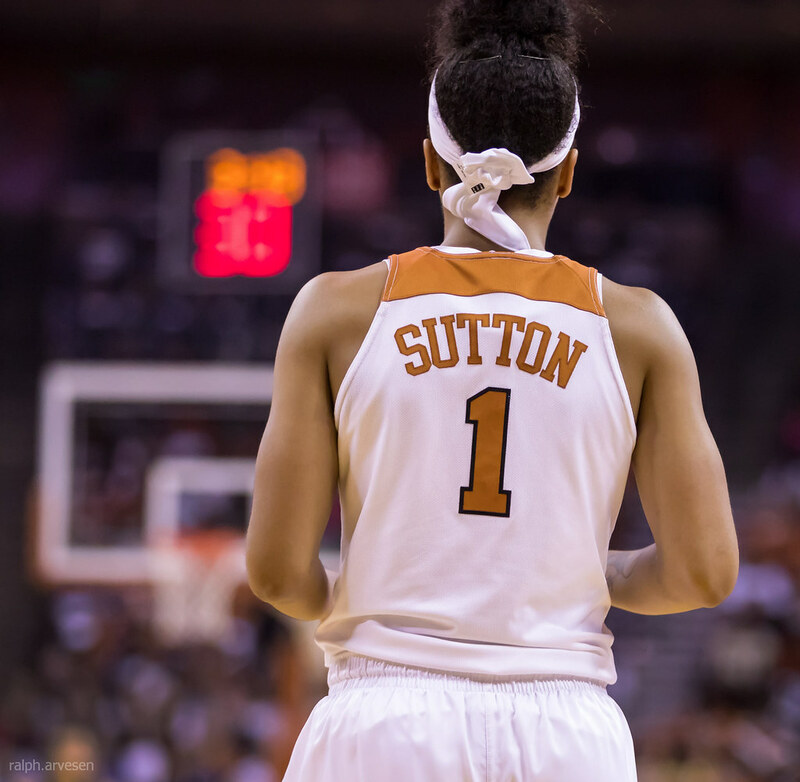 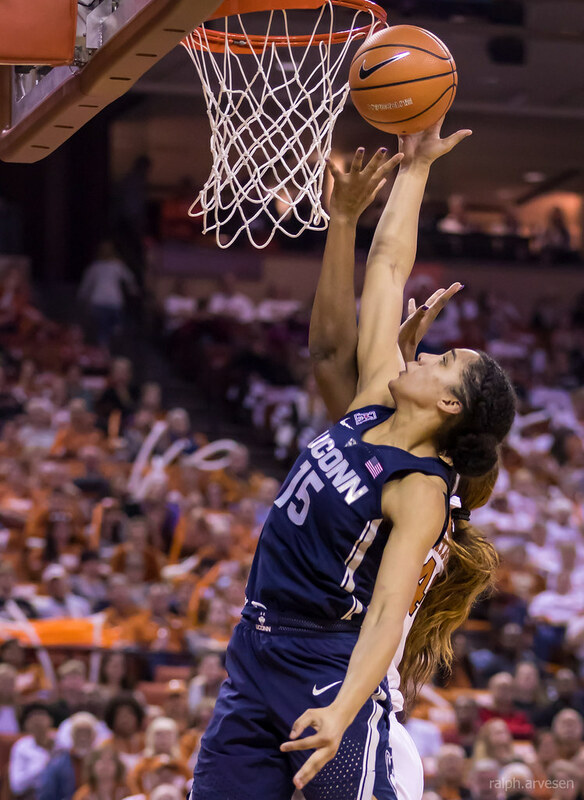 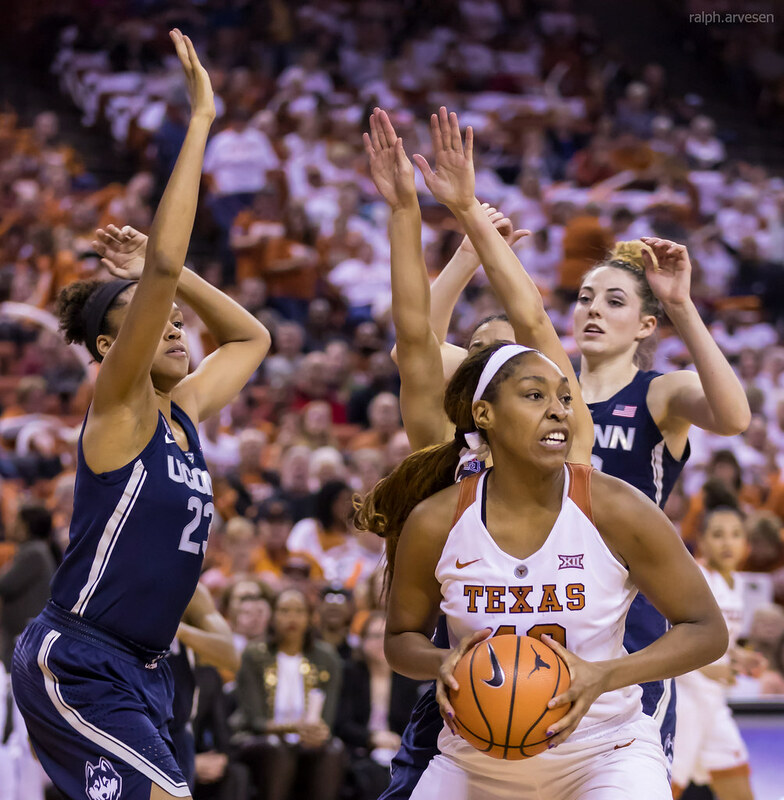 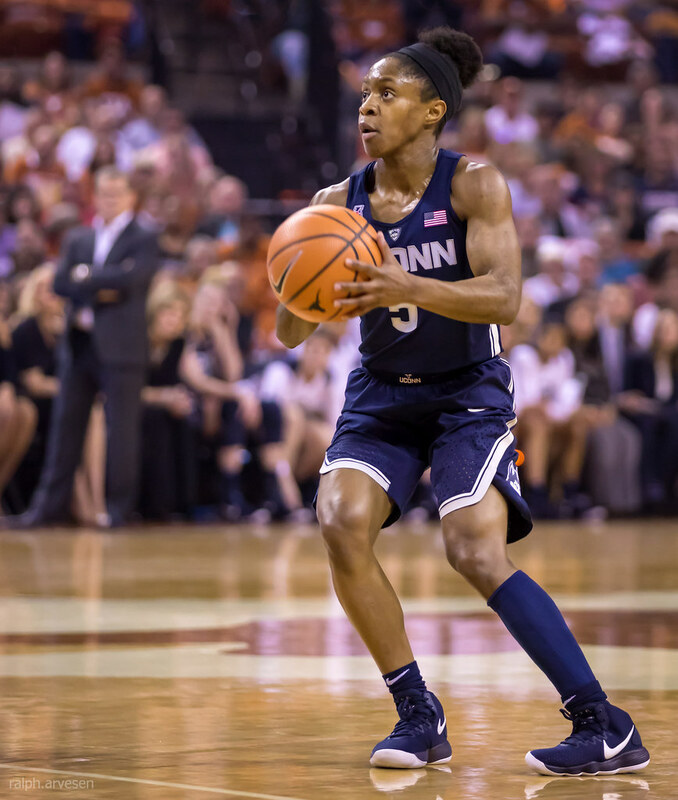 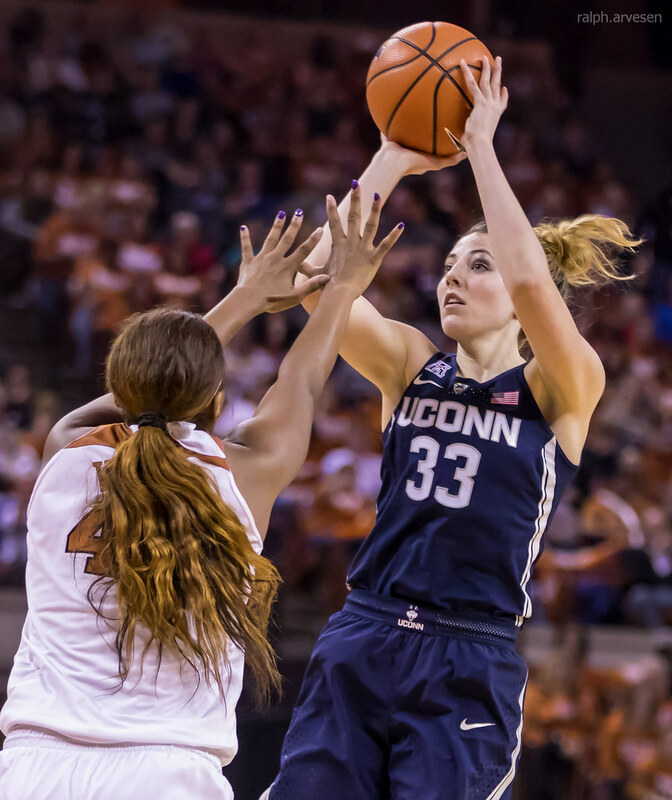 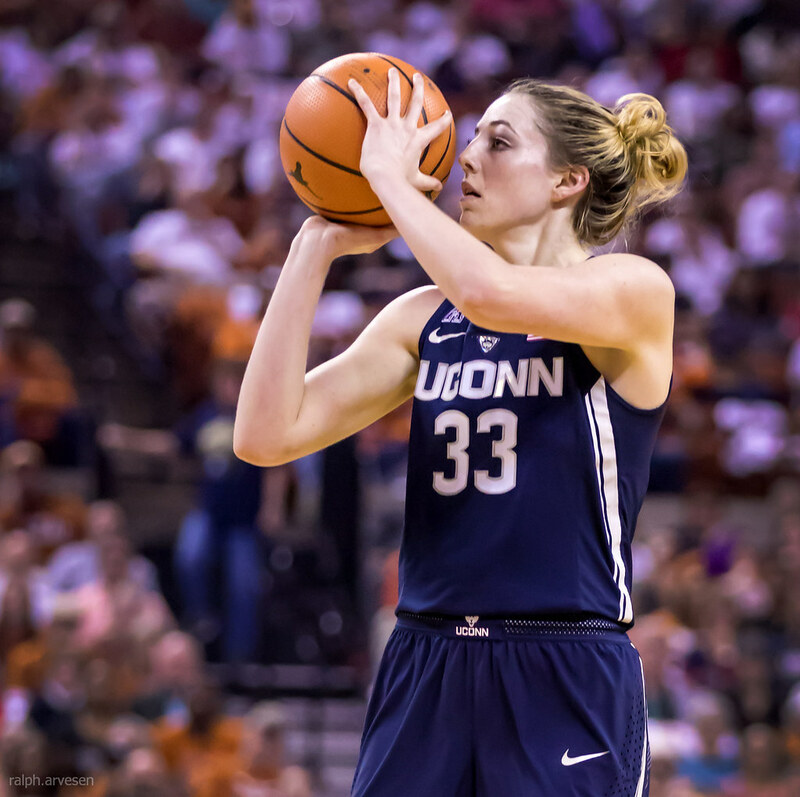 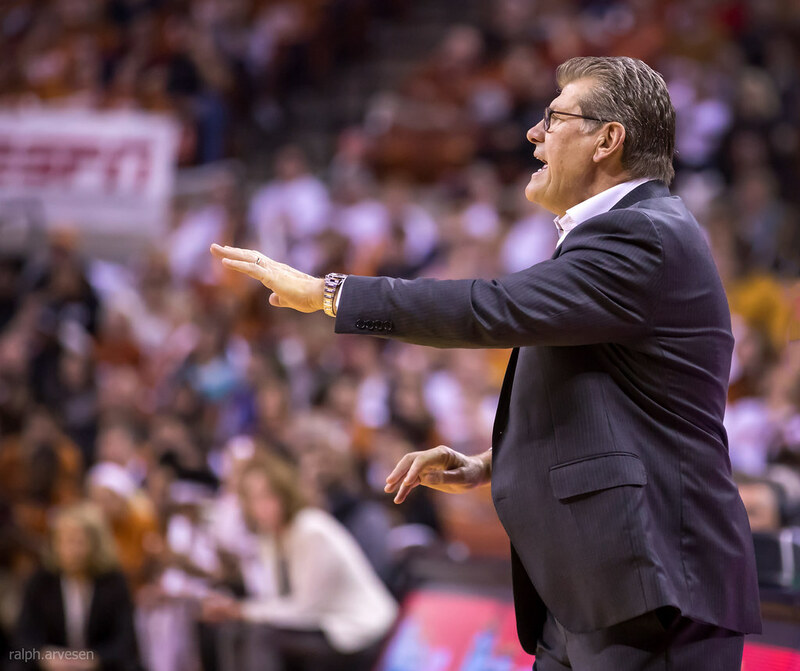 Texas forced the Huskies into nine turnovers and out-rebounded UConn by a 21-15 margin in the first half. 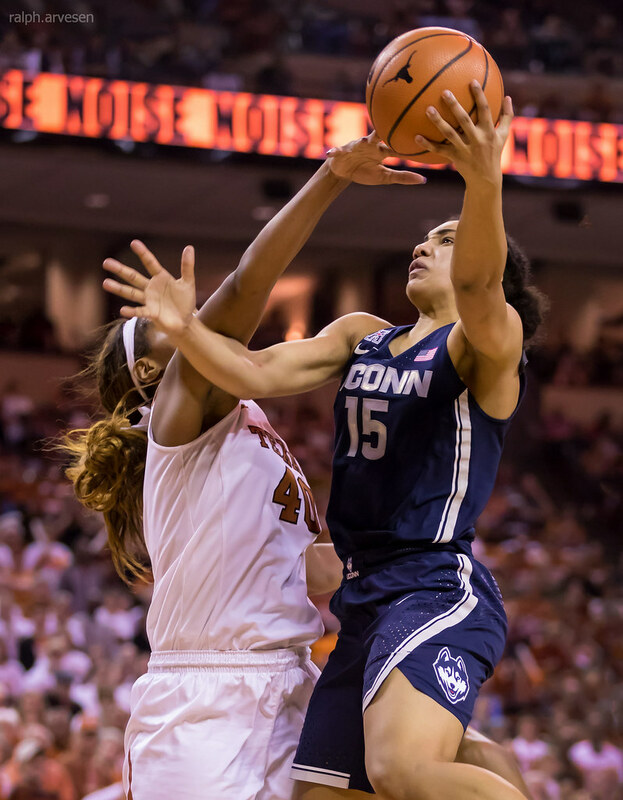 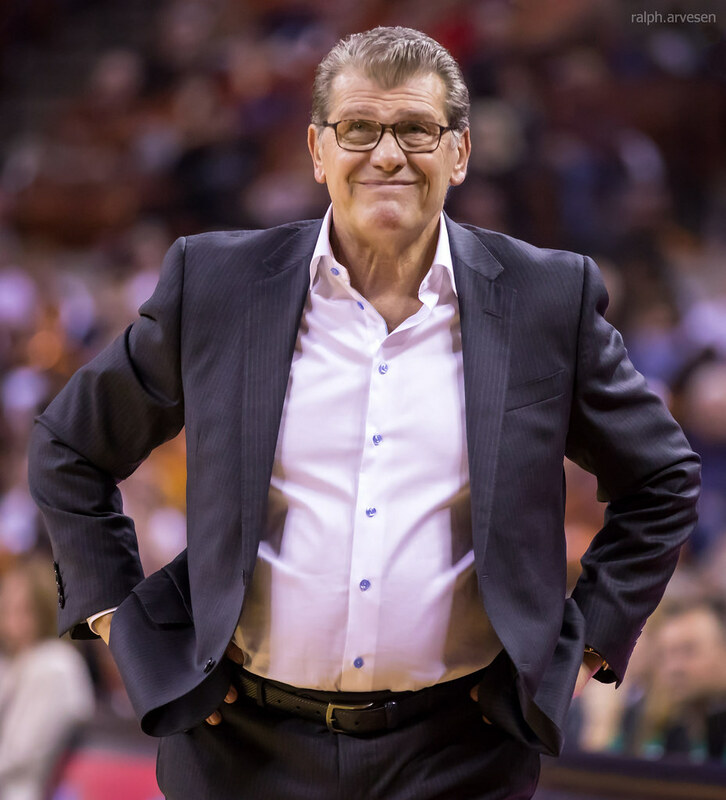 A 6-0 run by the Longhorns in just under a minute gave UT a 50-45 lead at the 6:40 mark in the third quarter, but UConn responded once again, rattling off nine-straight as Texas trailed by four (54-50) with 4:37 remaining. 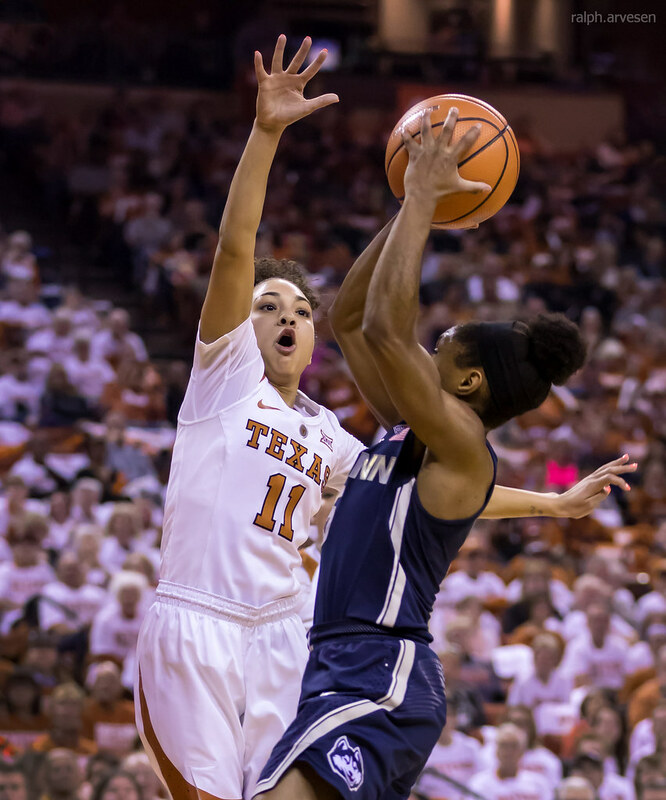 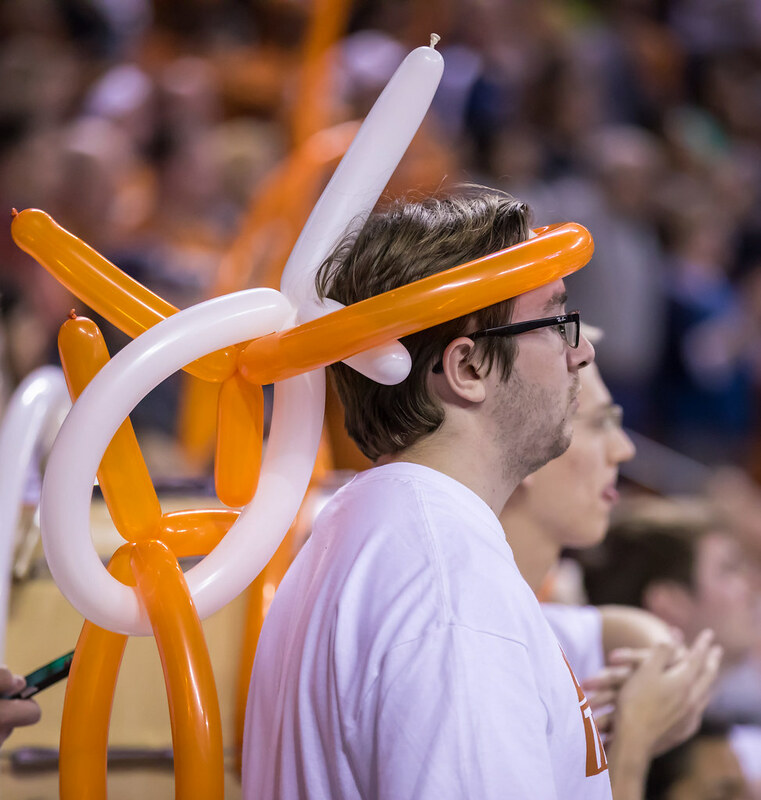 The Longhorns faced a 61-55 deficit at the end of three after a McCarty heave at the buzzer bounced off the back of the rim. 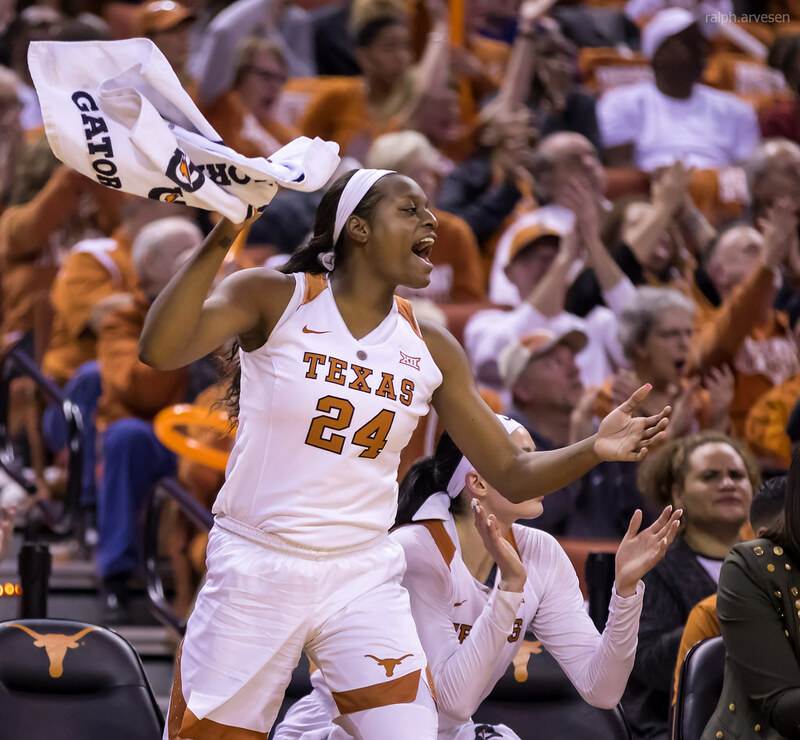 Texas opened the final period with a 7-0 run, fueled by five points from Higgs, to regain a one-point advantage (62-61). 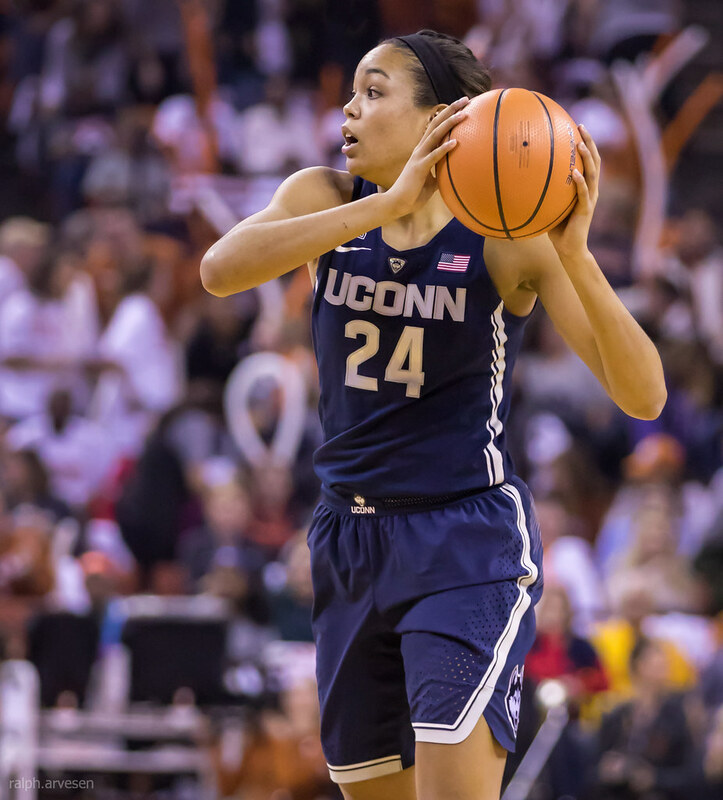 Back-to-back Husky buckets put UConn on top 69-64 with five minutes remaining in regulation. 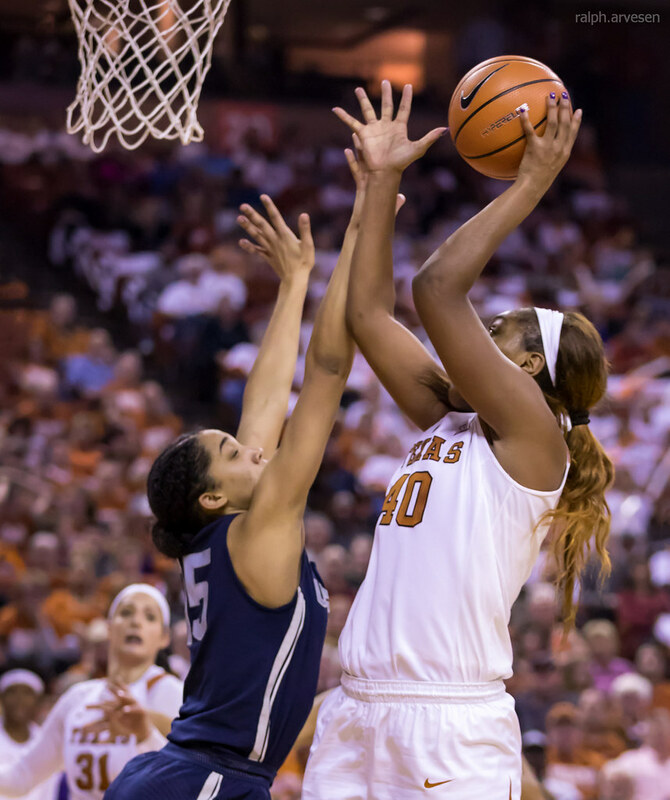 Atkins knocked down a deep two to bring the Longhorns within 69-68 at the 4:01 mark. 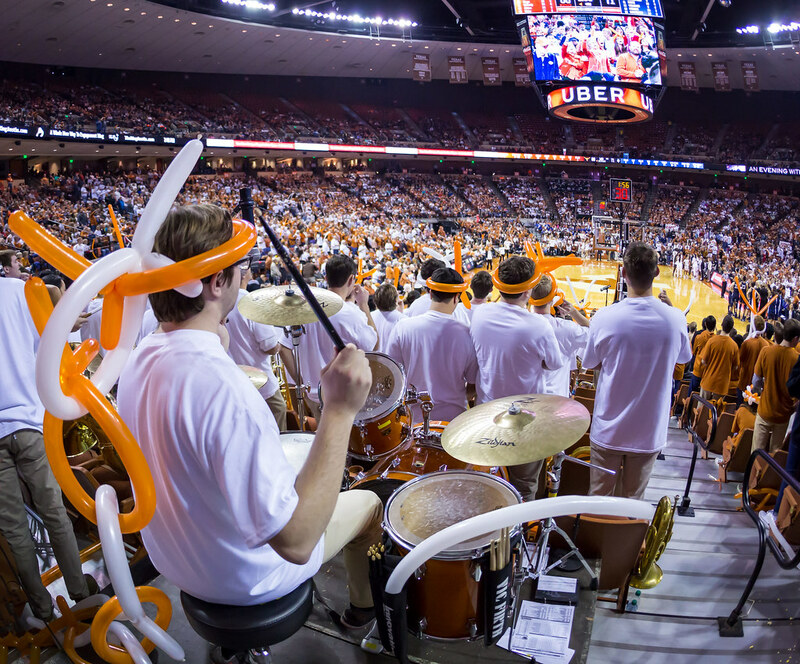 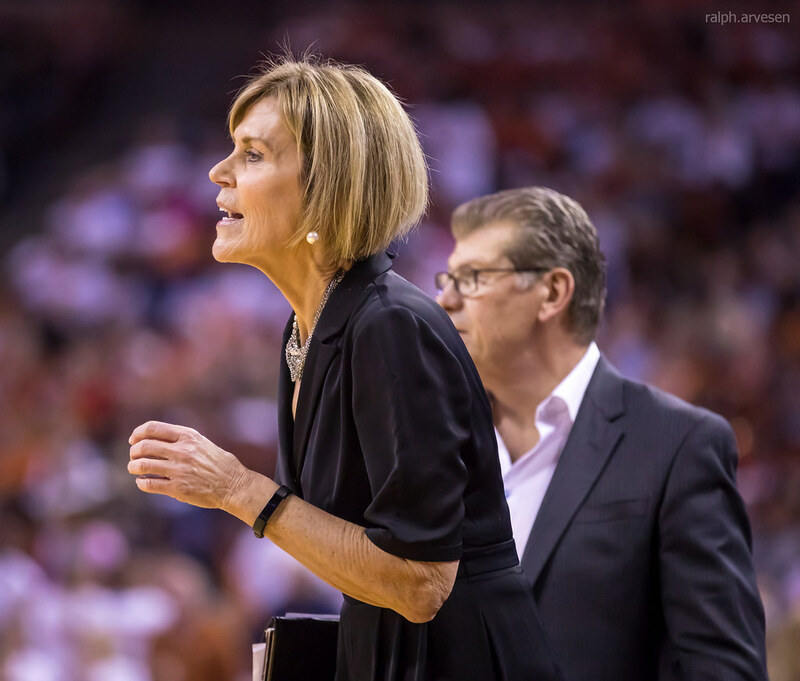 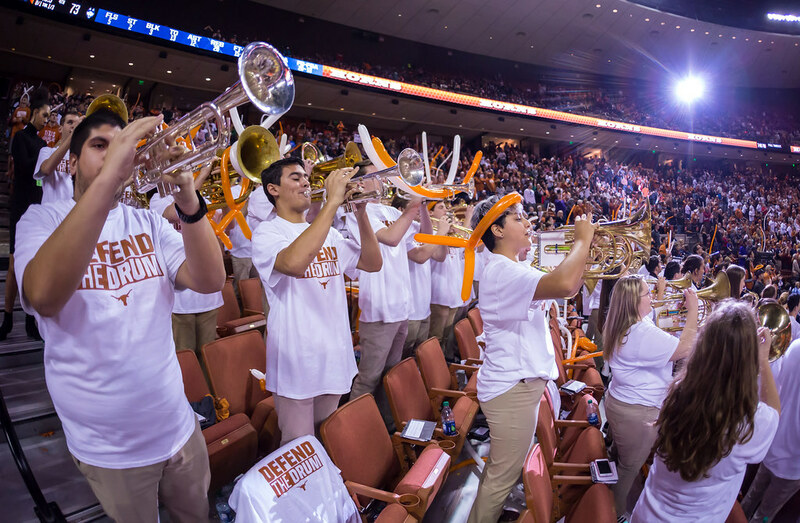 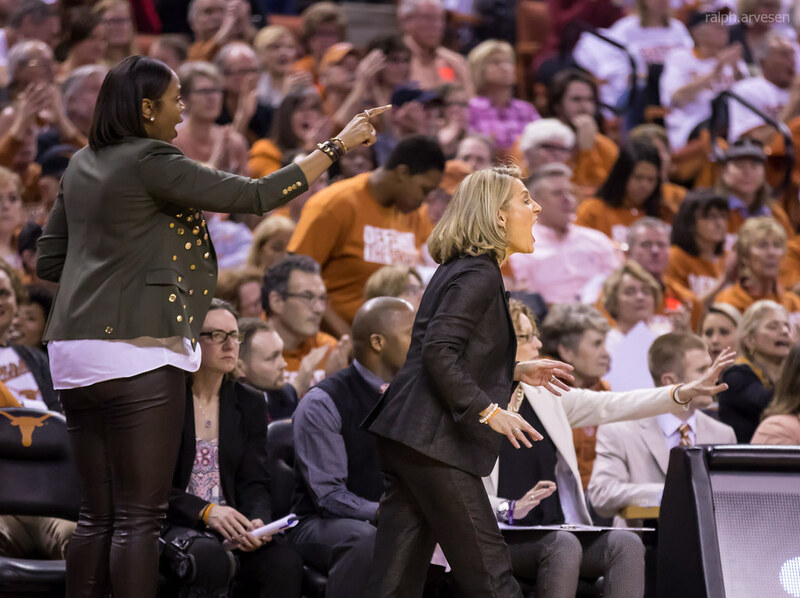 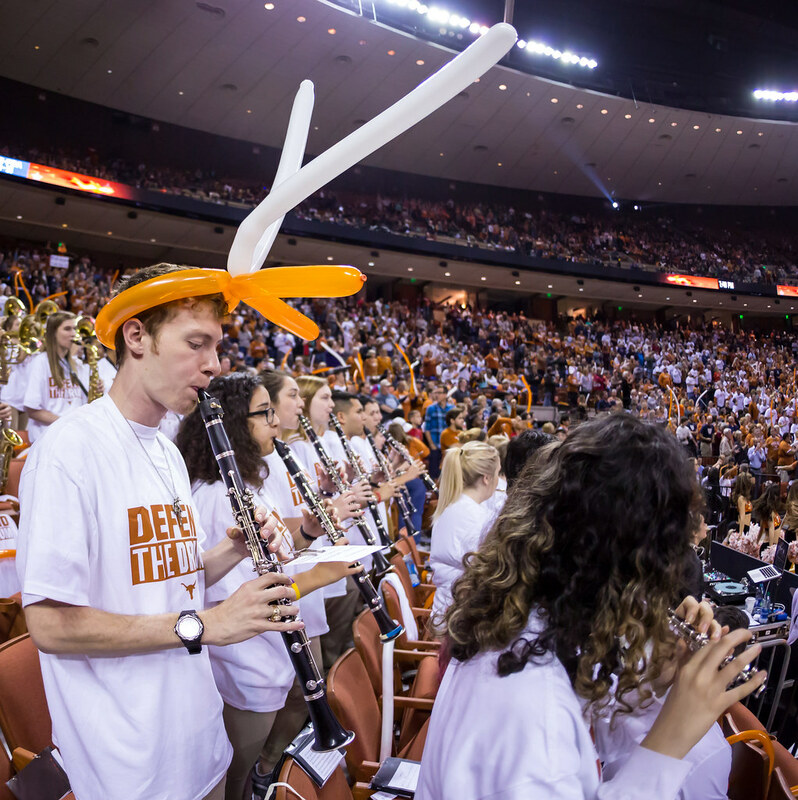 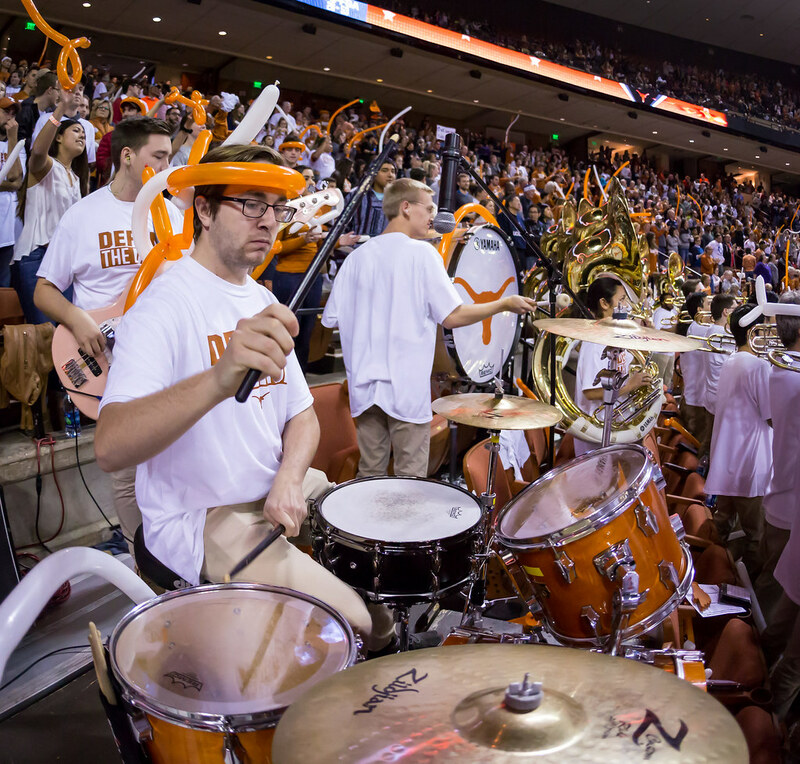 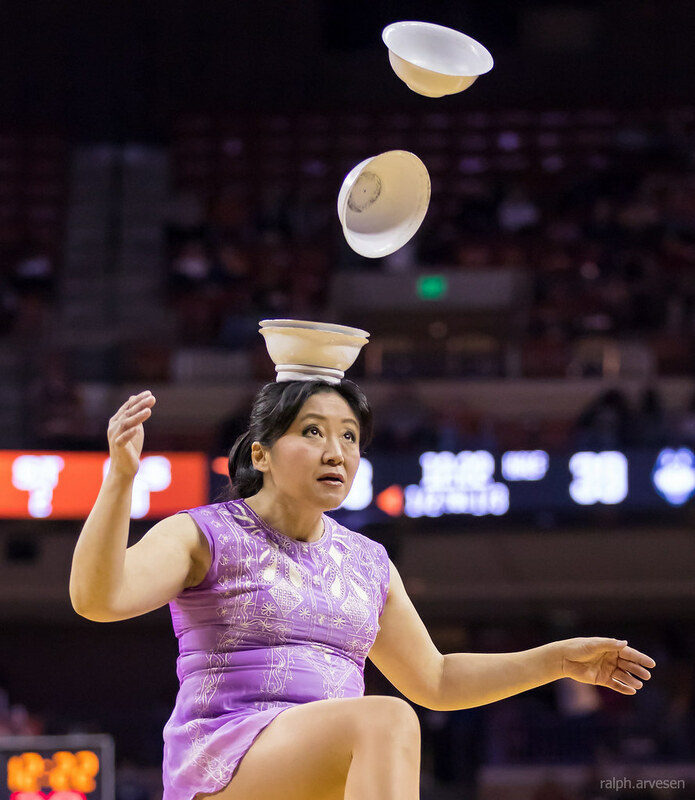 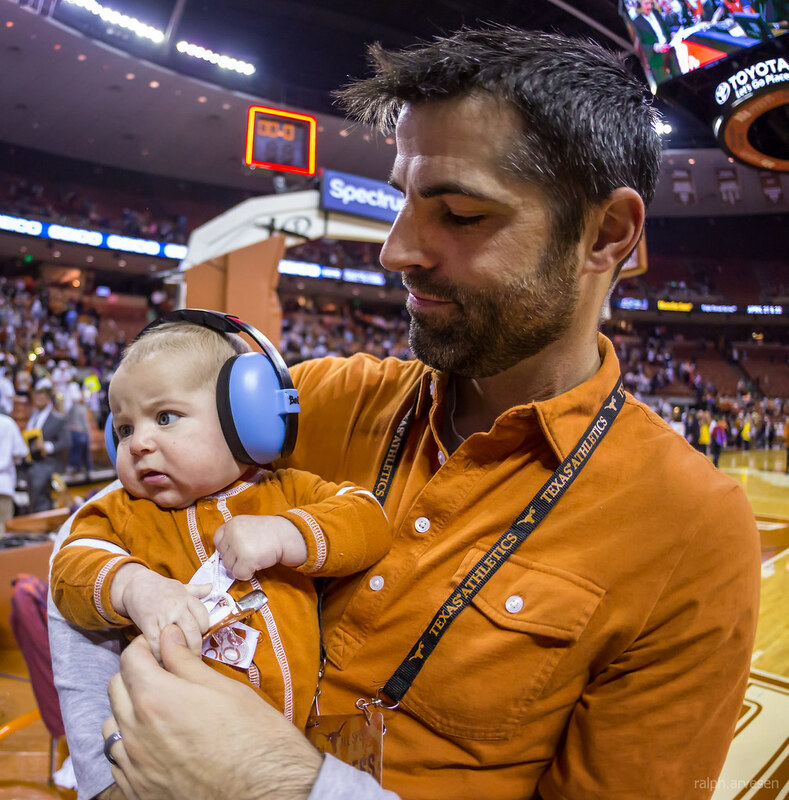 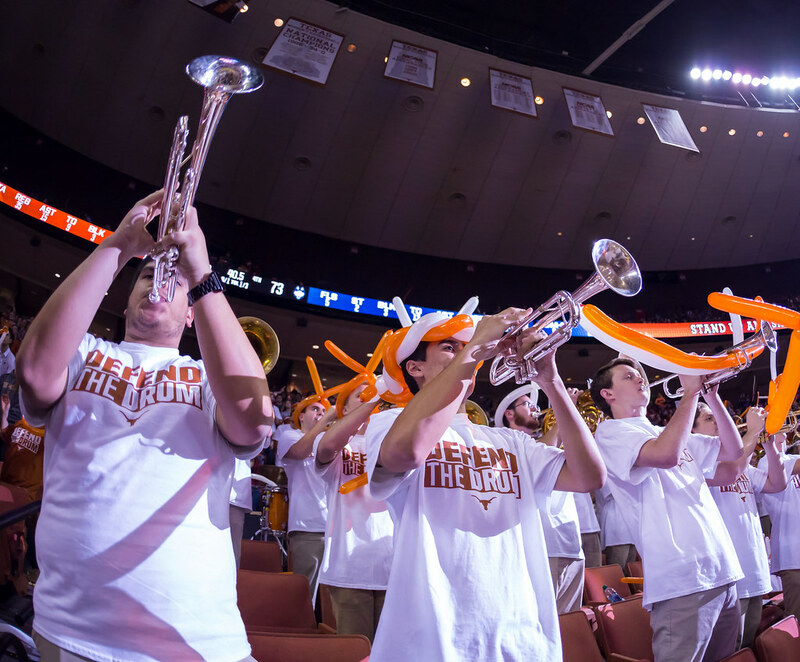 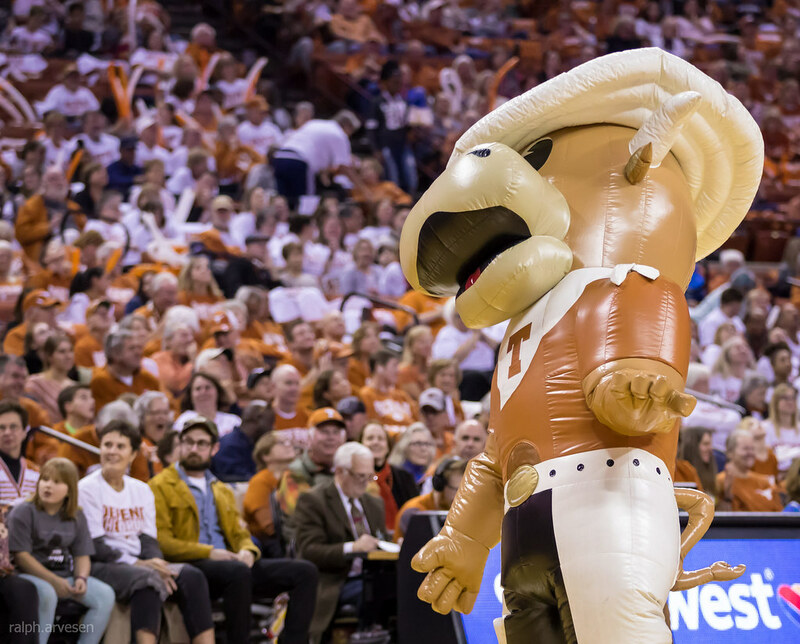 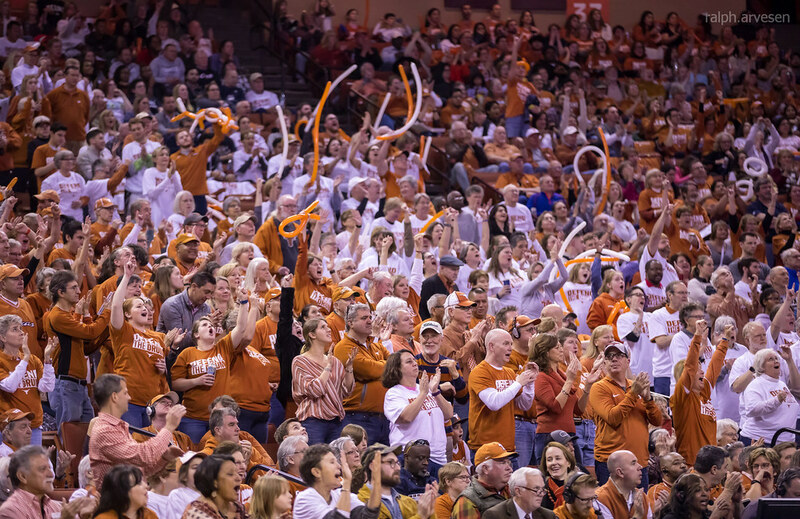 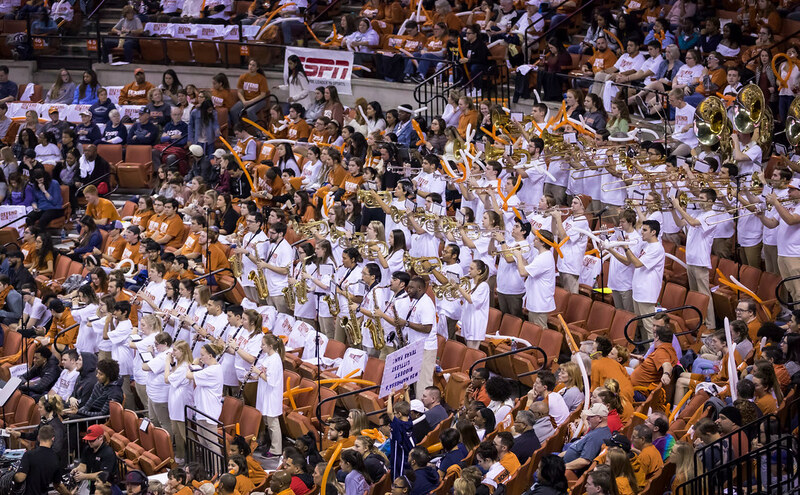 The Texas Longhorns women's basketball remaining home games at the Frank Erwin Center.